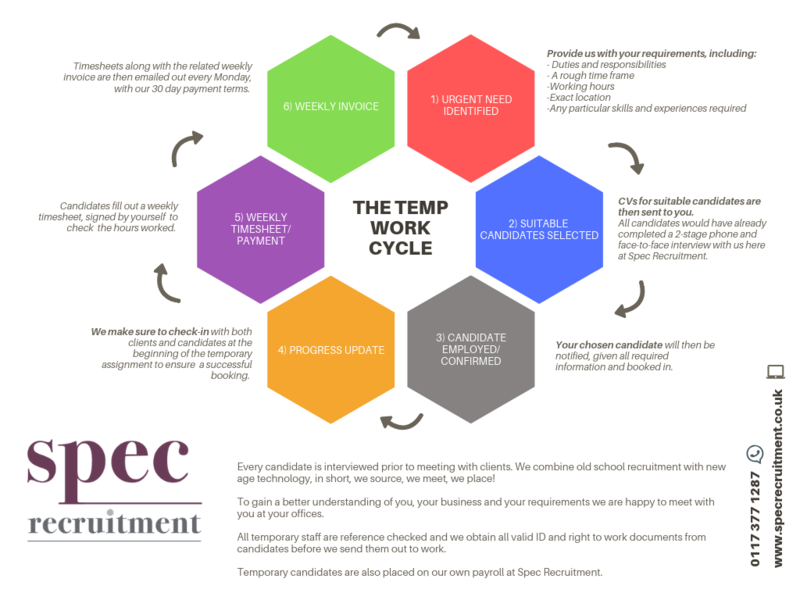 Are you considering hiring some temporary candidates via Spec Recruitment or ever wondered how the process of 'temping' actually works? If so, we have it all mapped out for you below! In general terms, a temporary worker is someone who is employed by a company on a non-fixed term basis and is expected to remain in a position only for a certain period of time. Employment term may be based on the completion of a project, holiday cover, the availability of funding, or other circumstances. The temporary worker's salary is usually calculated on an hourly rate and is paid through the payroll of the Recruitment Agency, often on a weekly basis. Temporary employees may have the opportunity to achieve permanent employment status after the time period has lapsed, this is often referred to as ‘temp-to-perm’. Flexibility - Temporary work is designed to offer complete flexibility to both the employer and the employee. Assignments can vary from 1 day to something as long as 9 months long, meaning you can fit your employment around other plans such as travelling or studies. When starting a temporary assignment, you’ll have a clear idea of the timeframe you are being asked to commit to and can plan around this, giving you complete control (although often candidates will be given the option to extend their temporary assignment). Foot in the Door – Even a short-term temporary assignment can lead to a contract or even a permanent position if the match between candidate and client is spot on. Temping can also be a fantastic way to get your foot in the door with a completely new industry/sector - something you could struggle to achieve when only applying for permanent roles. Time - Temping can allow you ‘try before you buy’ and work with very little commitment and work out what job roles and industries work well for you (and of course those that don’t)! Before committing into something permanently it can be a great way to test the water. Income - It provides an income stream while the "real" job search continues – For those not already currently working temping can help with crucial income before you land your permanent job. 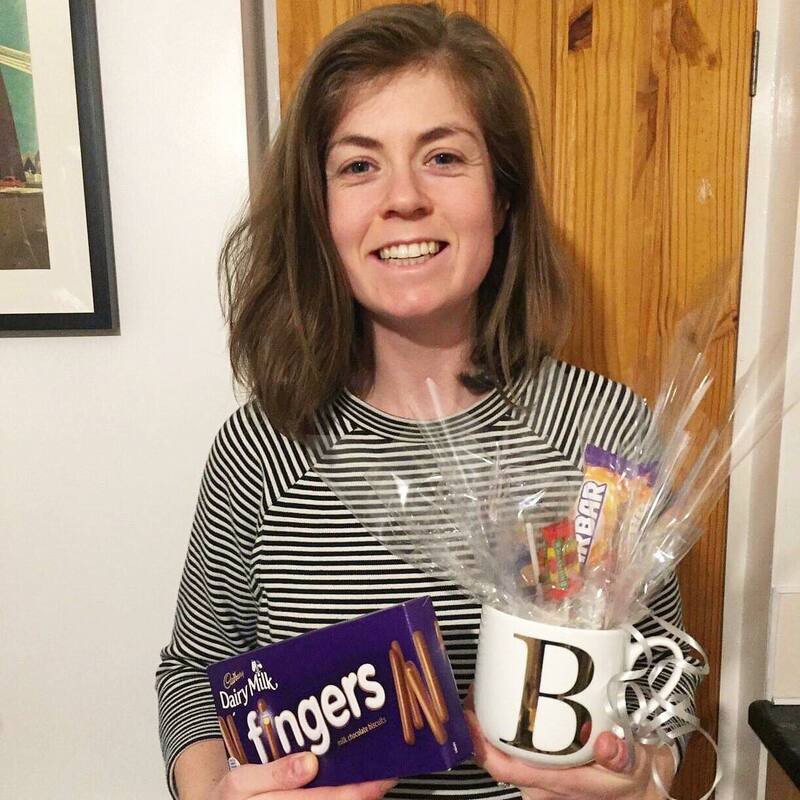 TEMP OF THE MONTH - JANUARY 2019! Rhiannon registered with us in October 2018 with minimal office experience and has since completed a vast number of temporary assignments for our clients, all with outstanding feedback. From her expanded skill-set we have just placed her in a full-time permanent position within the property industry! Temporary employment is a great way to gain valuable office experience that will help you out further down the line when applying for permanent positions. To kick-start your own job search or to discover more about the many benefits of temping get in contact with our Temporary Consultant today! What a busy year 2018 has been! 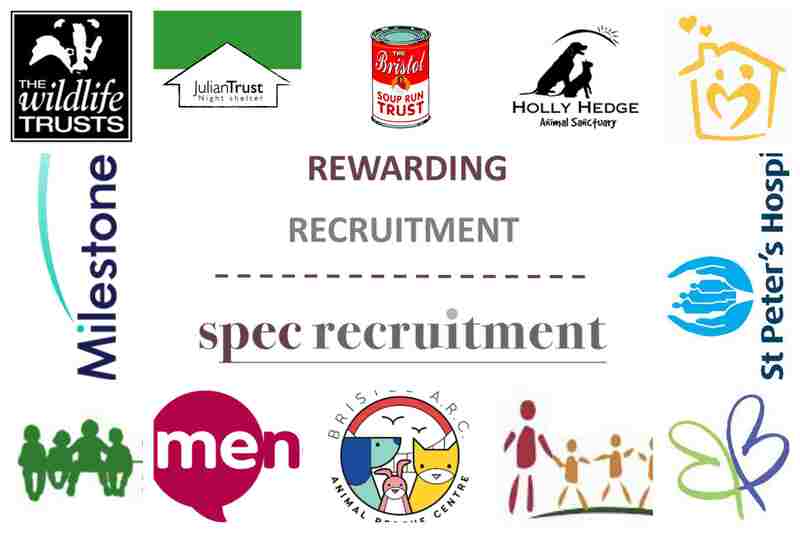 We have successfully completed our 2018 Rewarding Recruitment Charity Challenge and have volunteered at 12 wonderful charities throughout the year, 1 each month. We have thoroughly enjoyed each one and have some lovely memories to look back on! 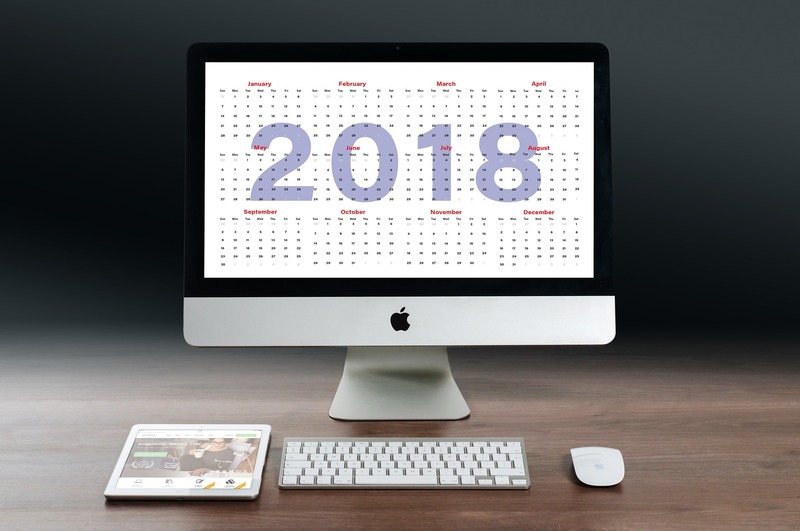 2018 has been great commercially, almost 3 years in our new office, our client base has grown with a positive knock on effect, with more permanent placements and a huge increase in temporary staff. A big THANK YOU TO ALL CLIENTS AND CANDIDATES, we are here because of you! It has been a year of mixed blessings for the team at Spec. Natasha is now a ‘nearly married lady’ having accepted Dan’s hand in marriage in New York in June, forthcoming nuptials early 2019. Anne-Marie is about to sign the dotted line, purchasing her first property and already spending an inordinate amount of time in a well-known Swedish DIY store that do great meatballs! Leah moved on to a new role in November, working in Dubai, it’s a whole new life for her, and we have no doubt she will make it work. Jackie has had a crazy year – sadly losing her partner, but ending it on a high….or a down dog, heading off to India to a yoga retreat. The Spec Recruitment office is full of presents today on the 19th December in celebration of Anne-Marie's Birthday and Christmas gifts for the rest of the office! 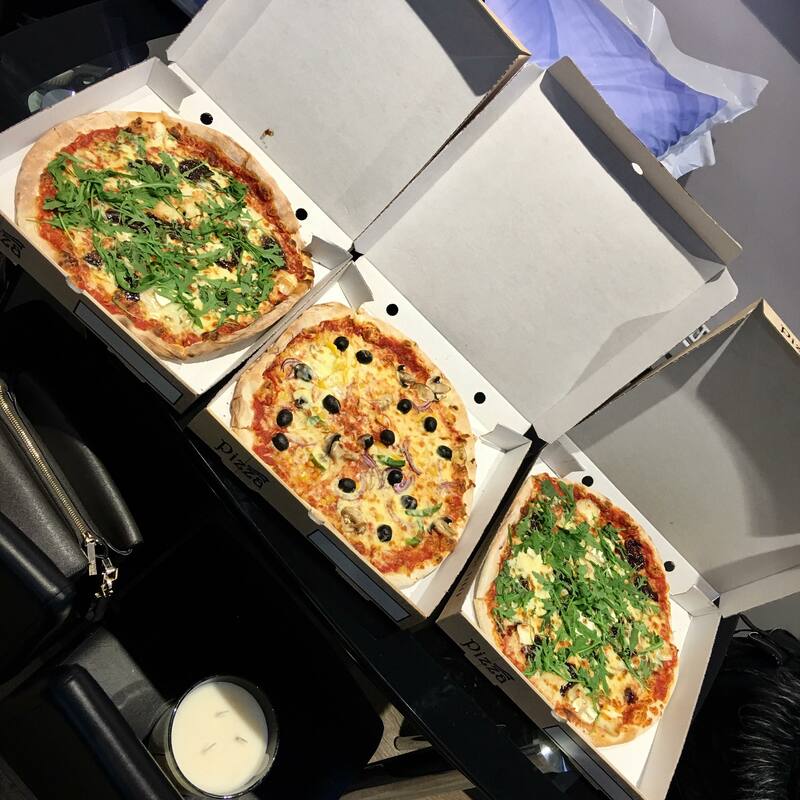 We treated ourselves to pizza and wine from Ciao next door for a special lunch....yum! Happy Birthday Anne-Marie! 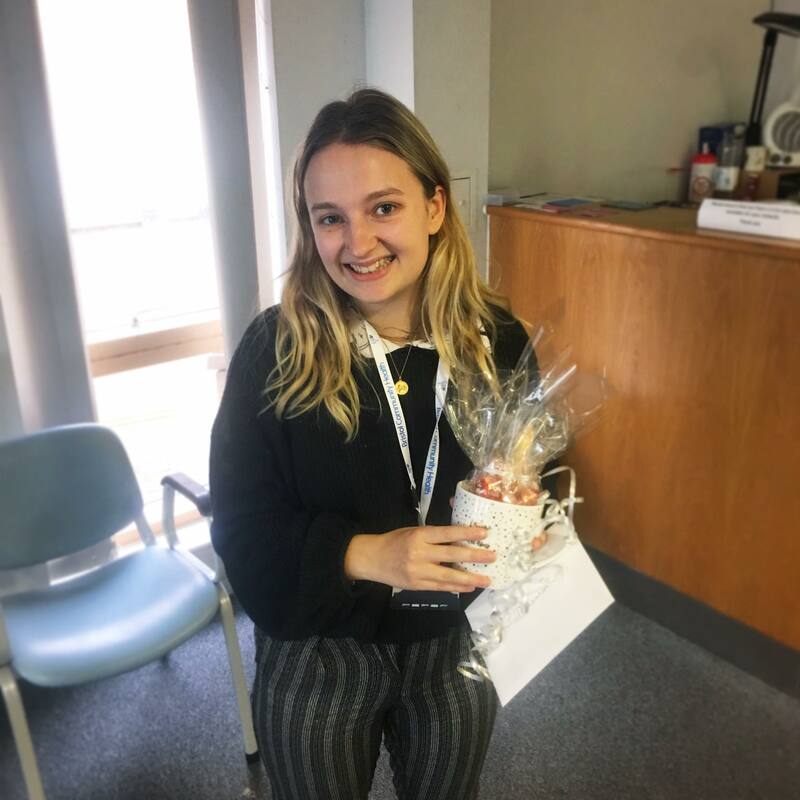 TEMP OF THE MONTH - DECEMBER 2018! 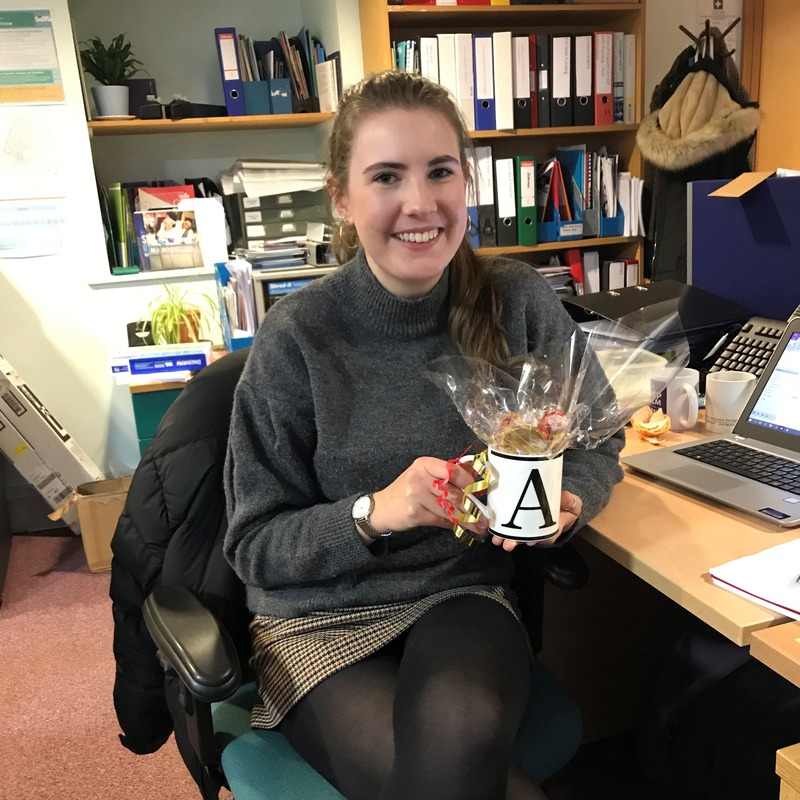 Amber has been an absolute star completing various temporary assignments for us and recently landing herself an exciting role while working for our Client as a Project Administrator. When in Rome...our Christmas party 2018! 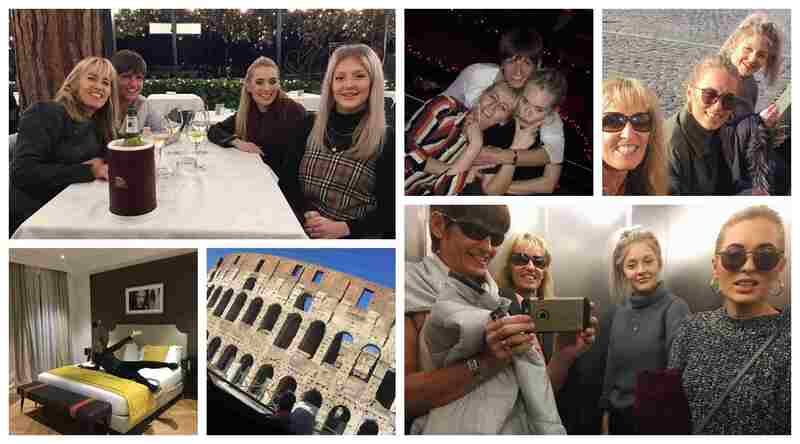 We decided to be just a little bit ‘extra’ this year and go to Rome for our staff Christmas party in December– safe to say, it was the best decision ever! We ensured to make the most of every single second and filled our weekend with sightseeing, open top bus tours, amazing food and lots and lots….and lots of wine (and expresso martinis). We stayed in the lovely K Boutique Hotel and couldn’t recommend it enough. The hotel was modern, clean and the staff were extremely helpful. We enjoyed a delicious breakfast which included pretty much everything imaginable and we would recommend the hotel to friends and family wanting to visit Rome. We just wish we had remembered our swimming stuff as they have a lovely jacuzzi on the roof top terrace! 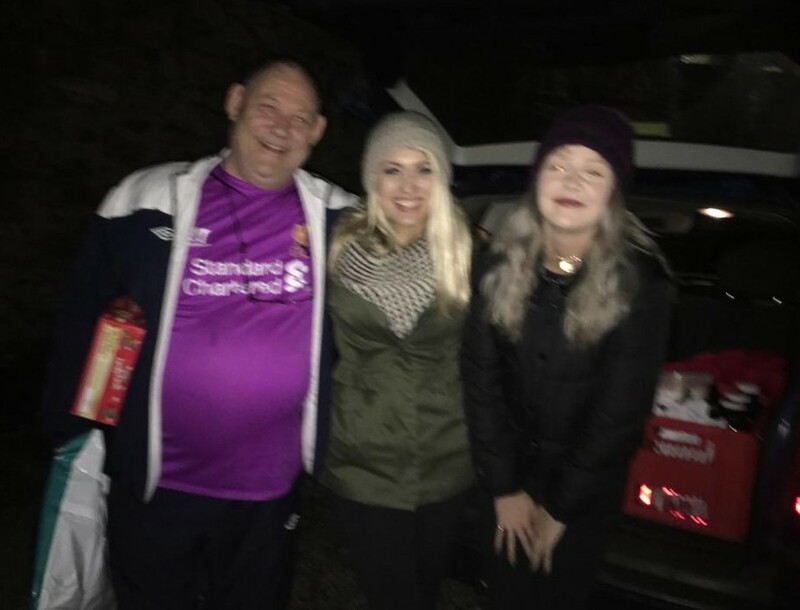 All in all, we had a weekend full of fun, culture and alcohol….exactly what a Christmas party should be - thanks so much for the treat Jackie! 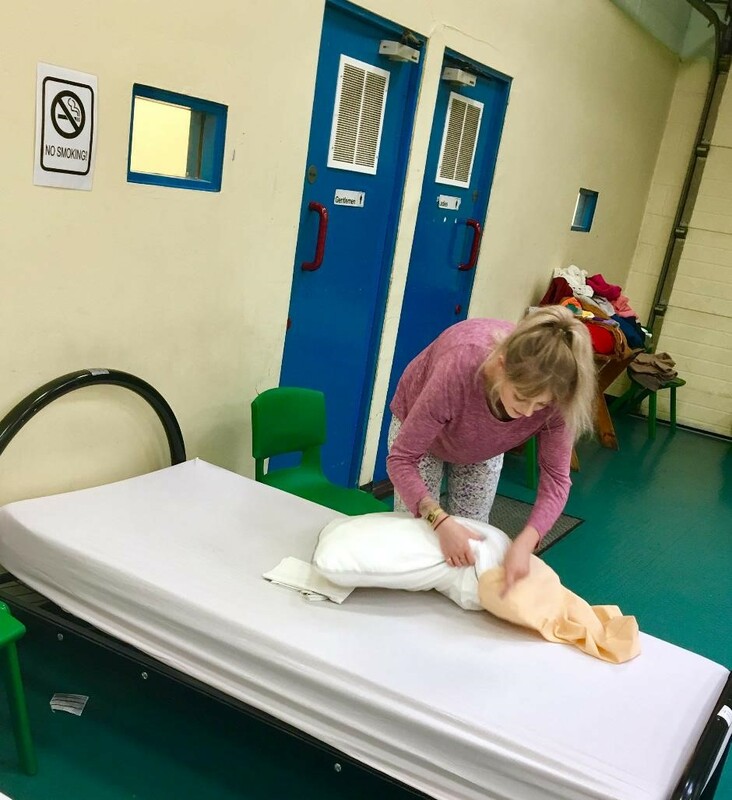 Jessie May is a Bristol-based charity providing nursing care at home for children and young people with life limiting conditions who are not expected to live beyond the age of 19. Jessie May was established in September 1994 by Chris and Philippa Purrington, following the death of their baby daughter Jessica May. She died from a genetic condition known as severe Spinal Muscular Atrophy when she was only 4½ months old. Jessica’s parents were determined to do what they could to enable other children with conditions like Jessica’s and their families to have support in their own homes and the choice to die at home when that time comes. After a lot of hard work and perseverance initial funding was secured, and Jessie May was officially launched in 1996. Since Jessie May was founded in 1996 the charity has supported over 300 children and their families in Bristol, South Gloucestershire, North Somerset, Bath & North East Somerset, and Swindon & Wiltshire. Leah and Anne-Marie were welcomed by Julian (Head of Fundraising and Communications) and introduced to the rest of the lovely team at Jessie May in their Kingswood office. In preparation for Jessie May’s Christmas party the girls from Spec Recruitment volunteered by getting crafty and creating pom-pom snowballs and preparing activity sheets for the children and their families - the girls has a great time supporting such a wonderful charity. Thanks for having us Jessie May! 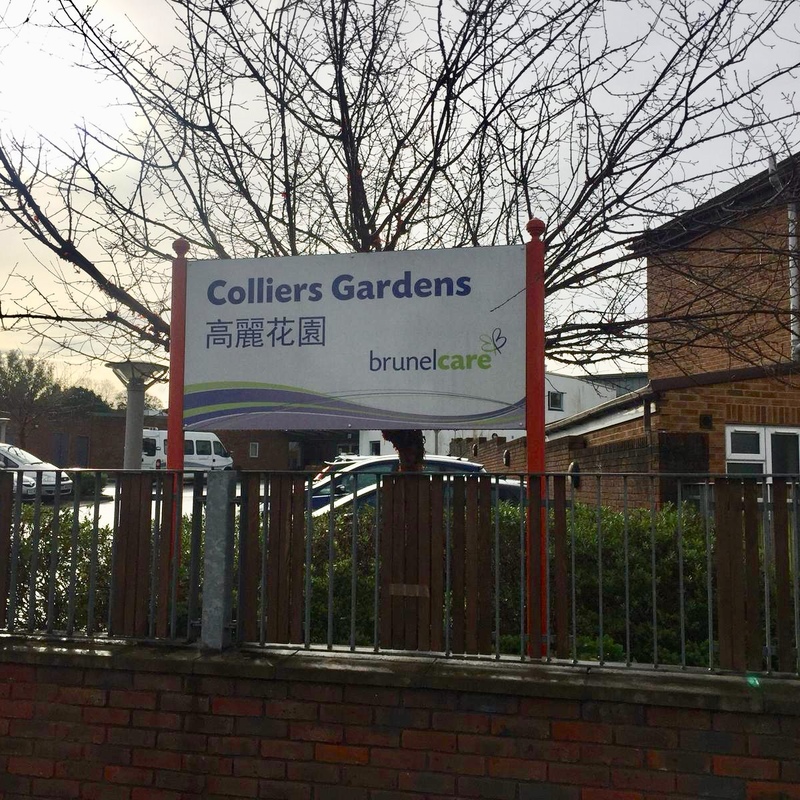 Established in 1941 Brunelcare are a provider of high-quality housing, care and support for older people in the South West. For over 75 years, they have been at the forefront of developing ways for people to stay as independent as possible, creating great communities to live, work and enjoy being in. Their award-winning housing allows people to live independently in friendly and supportive communities. From getting ready for the day, to help with the shopping, they provide a variety of services that help people to stay living in their own home and are widely recognised for their expertise and excellence in caring for people living with dementia and supporting their families. 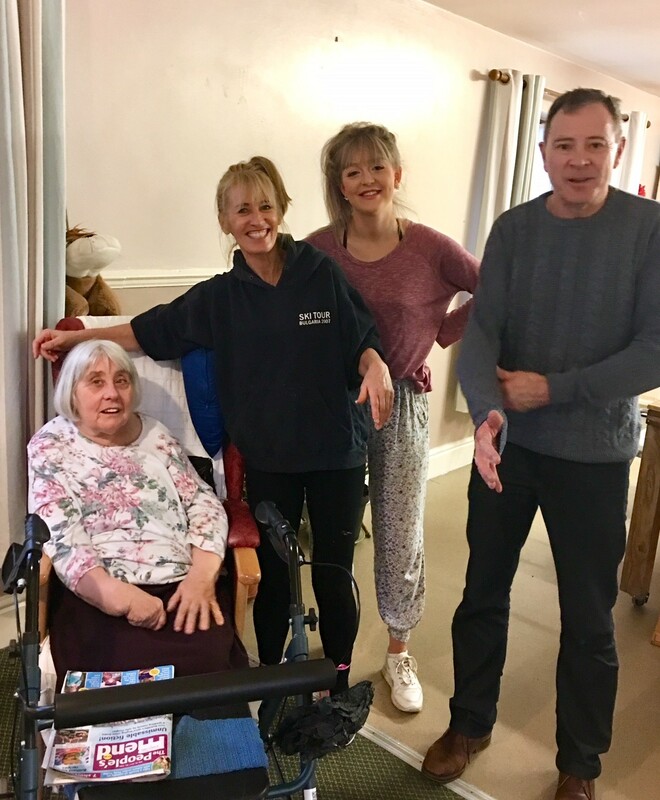 Natasha and Anne-Marie joined Derinda at Colliers Gardens in Fishponds and volunteered at a mother and toddler group followed by a pamper and nail painting session with the lovely tenants, they had great fun having a good old gossip with them all! November’s Temp of the Month award goes to the lovely Lisa. She landed herself a temporary assignment just a matter of days after registering with us, for it to then turn permanent 2 weeks later – star you are! 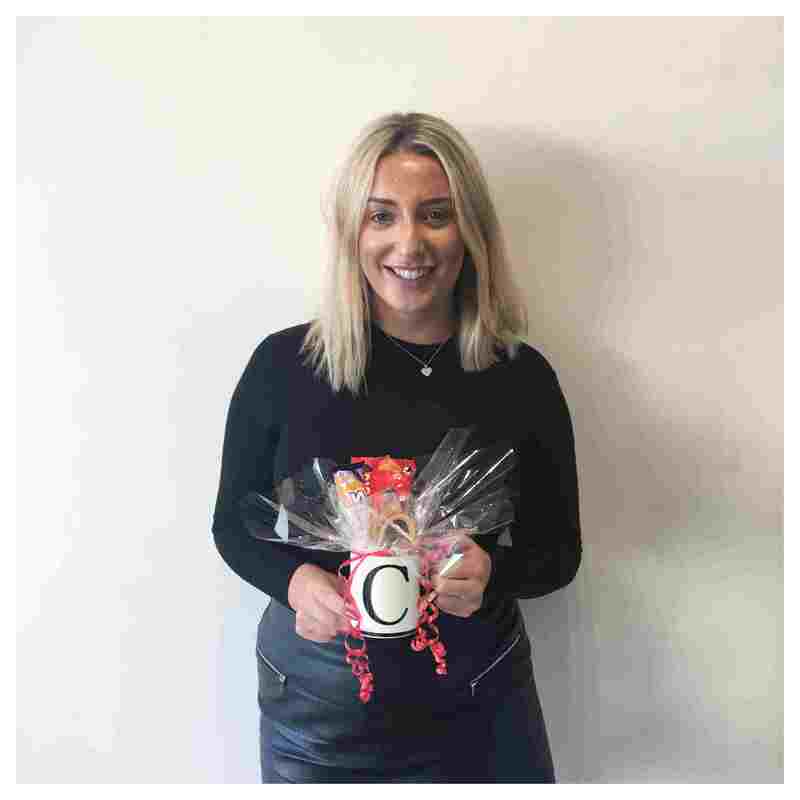 Sending a massive congratulations to our Recruitment Consultant Leah who will be jetting off to Dubai in just 2 weeks having recently landed herself and exciting new job while over there on holiday! Having been at Spec Recruitment for almost 5 years she will be well and truly missed by her colleagues, clients and candidates. We enjoyed the most delicious evening at Otira last night in Bristol celebrating her new adventure and we found it almost impossible to pick a favourite dish - we would highly recommend booking a table. 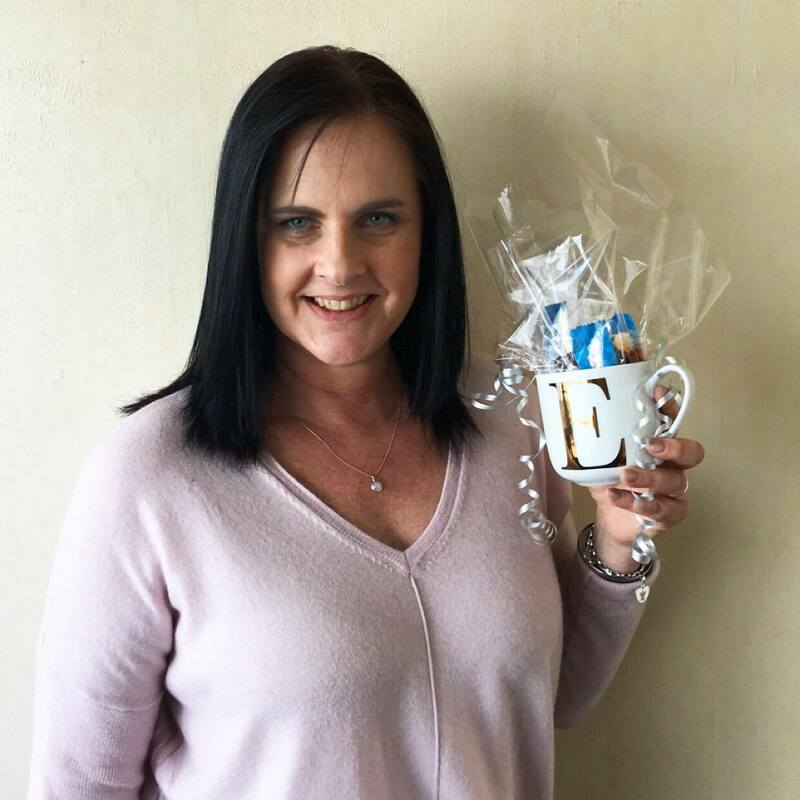 Temp of the Month - October 2018! 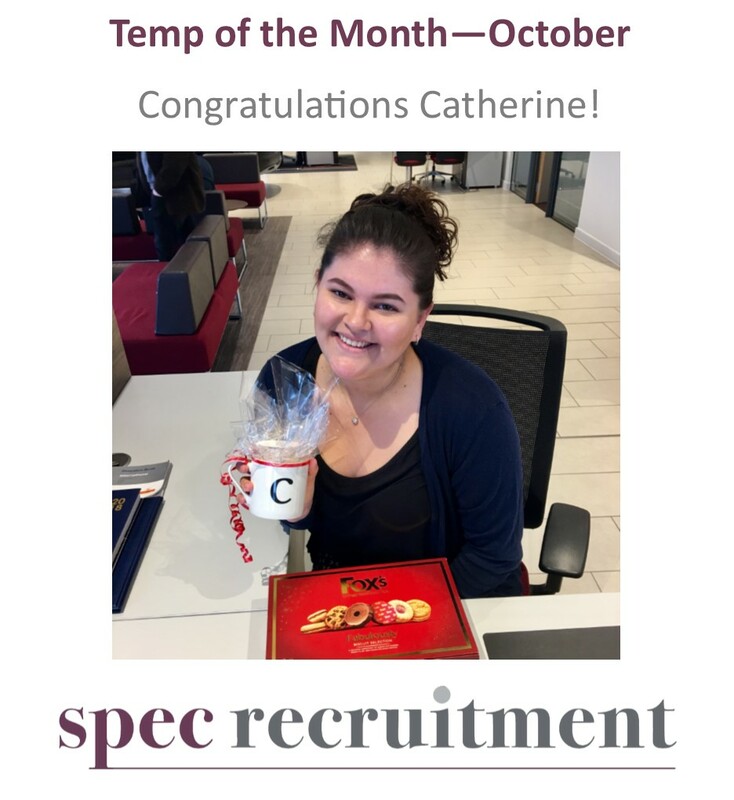 Congratulations to Catherine on being awarded October’s Temp of the Month award. Thank you for your continued hard work across various assignments. We wish you the best of luck when starting your new permanent job next week! 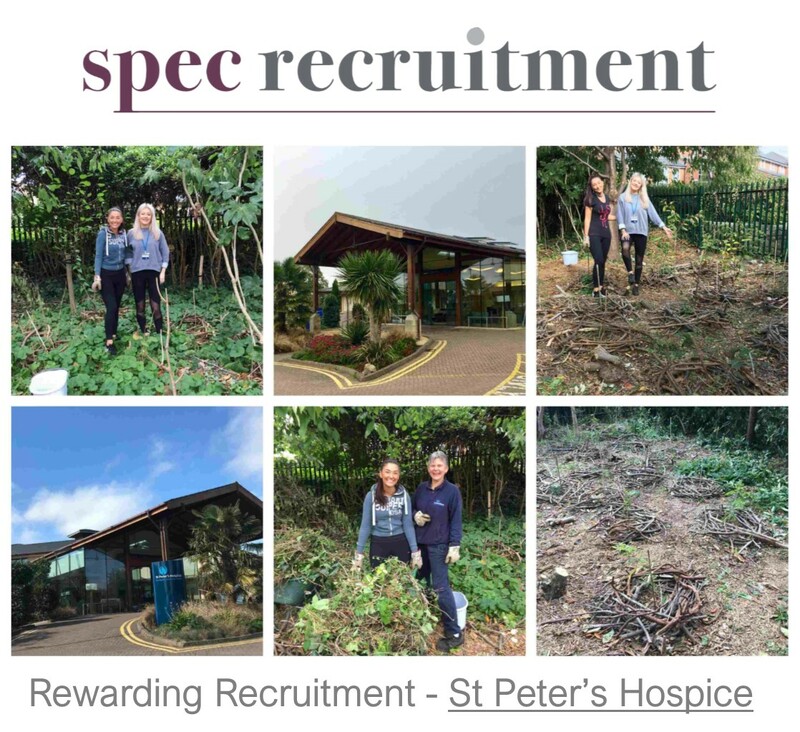 To continue our Rewarding Recruitment Charity Campaign, Leah and Anne-Marie completed some corporate volunteering at St Peter’s Hospice in Brentry earlier this month in October. St Peter’s Hospice is a Bristol charity caring for adults with life-limiting illnesses, providing extended care and support to their families and loved ones. The Hospice plays a central role in palliative care services in Bristol, South Gloucestershire and North Somerset. The Hospice has more than 300 wonderful members of staff working across a broad range of roles requiring different skills, experience and qualifications. Through a range of services, they have cared for over 30,000 people in the last 20 years. All care is free of charge, but it costs around £20,000 a day to run! For most of this money they rely on gifts in wills, donations, fundraising and their shops. Leah and Anne-Marie joined Sarah, their Landscape Gardner to tidy up and clear out a garden area behind the car park, making this a useable and pleasant outdoor space. They cut back weeds and unwanted shrubs and reconstructed the supports for newly planted trees. They had a fantastic day, full of laughter! It was lovely getting to know the members of staff working at the Hospice and they look forward to returning once the building and construction work has been completed. Thanks for having us St Peter’s Hospice! Temp of the Month - September 2018! 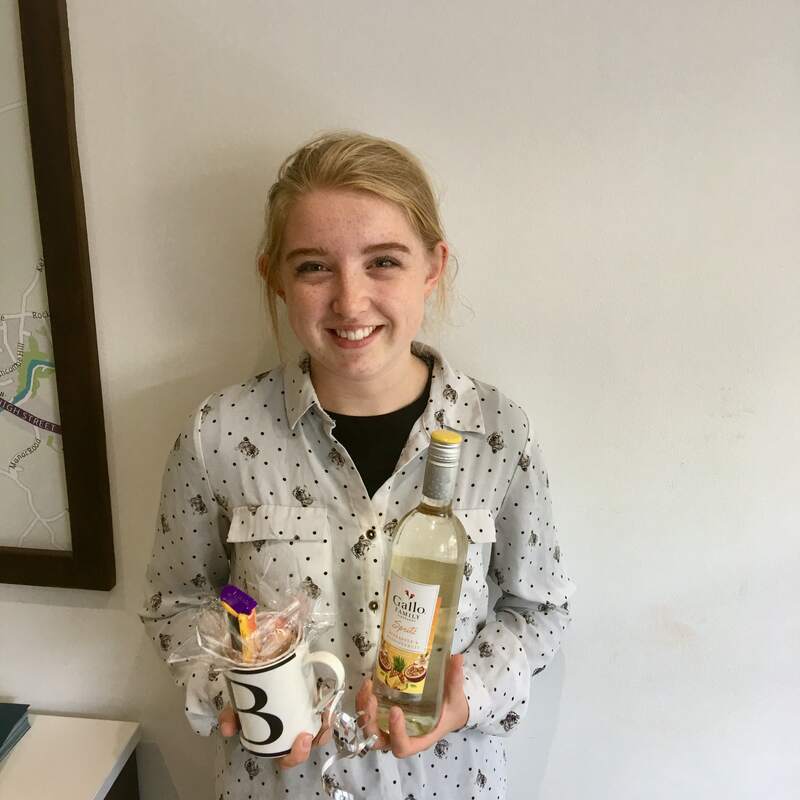 Congratulations to the lovely Chloe for winning September’s temp award! Full of energy and with a constant smile on her face Chloe is an absolute dream. Thank you for all of your hard work! Rewarding Recruitment - Avon Wildlife Trust! 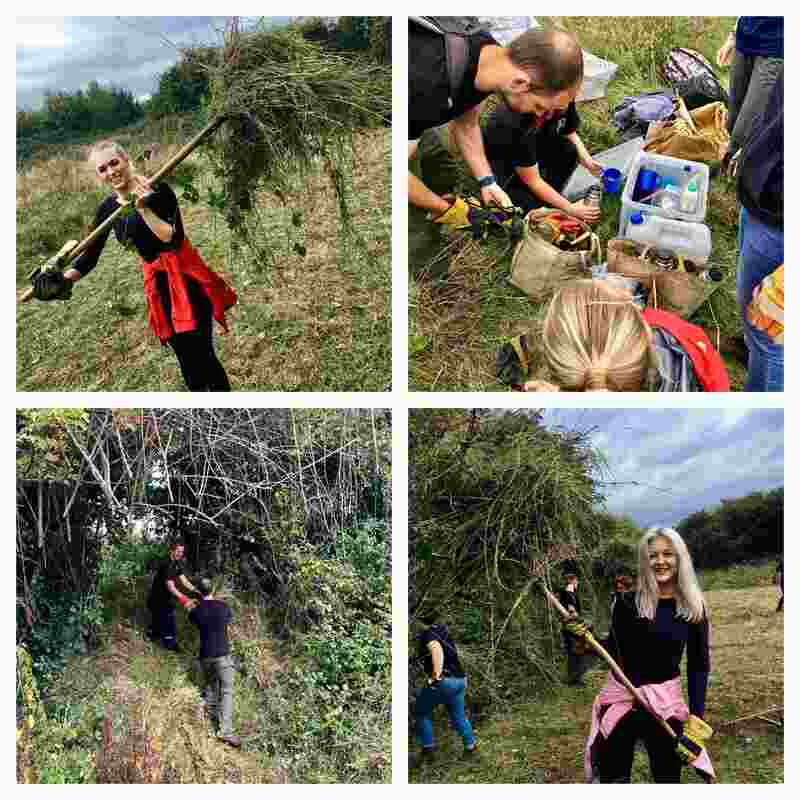 It's September and our Rewarding Recruitment Charity Challenge continues....this month we volunteered at Avon Wildlife Trust! Avon Wildlife Trust was established in 1980 and is the largest local charity working to protect wildlife in the West of England. Avon Wildlife Trust manages 36 nature reserves, covering 3,000 acres, from ancient bluebell woods to iron age forts and they work with landowners in the wider countryside to reduce the decline in wildlife by creating a suitable living landscape. The trust employs 40 members of staff and every year they co-ordinate a task force of more than 800 wonderful volunteers who help in all areas of the Trust's work, from conservation tasks on reserves to helping in the Trust office or at events. In September Natasha and Anne-Marie joined Rosie, their Living Landscapes Officer, and a lovely team of 9 fellow volunteers at Hawkfield meadow in Hengrove to complete a summer hay cut. The meadow started off completely overgrown and full of brambles and rubbish. After a lot of mowing and raking the area had been transformed into an enjoyable and tidy area of land, a perfect and safe environment for animals and wildlife. Avon Wildlife Trust wouldn’t be possible without the help from the general public, to discover how you can help, visit their website here. Birthday Celebrations for our Consultant Natasha! 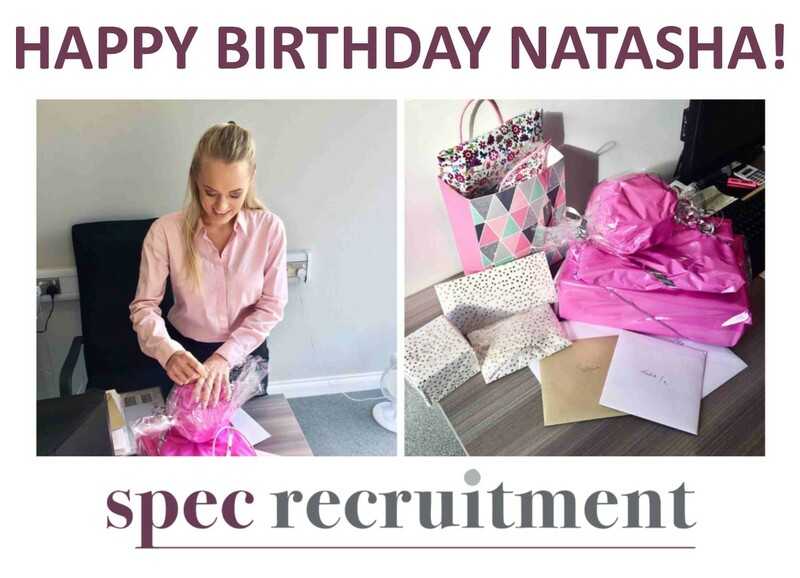 We enjoyed copious amount of cake on the 5th September to celebrate Natasha's Birthday at the Spec Recruitment office. 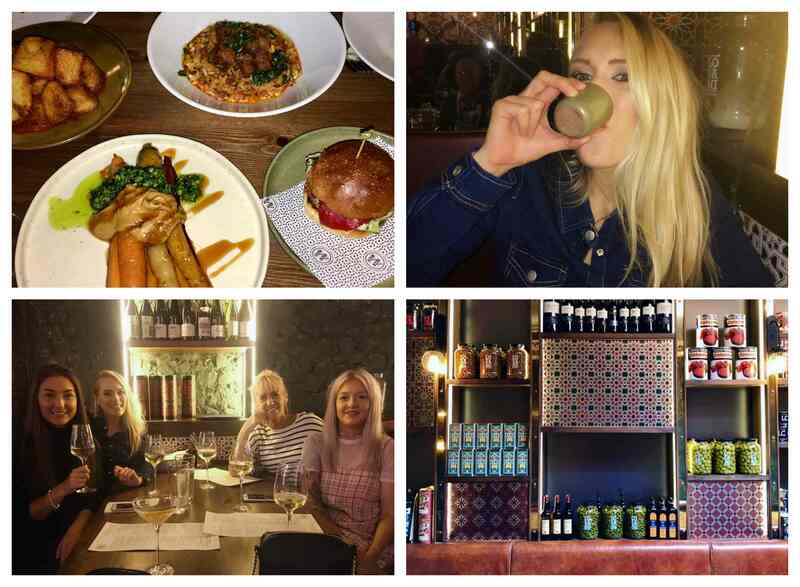 In the evening we enjoyed drinks at The Quadrant followed by the most amazing meal at one of Bristol's newest Tapas Bars in Clifton, 'Bar 44 Bristol'. Their doors officially opened on the 1st August 2018 and is has been thriving success ever since. We would highly recommend the Patatas Bravas and Chicken Croquette! Temp of the Month - August 2018! Congratulations to our absolutely wonderful candidate Viv for winning this month's award. She got snapped up on a long-term temporary placement by our client straight after her interview and she is doing a fantastic job! It’s already August and our Rewarding Recruitment challenge continues....our chosen charity for this month is the lovely Mencap! In 1946 Judy Fryd, a mother of a child with a learning disability, formed 'The National Association of Parents of Backward Children' - which later became Mencap. Mencap is the leading voice of learning disability. Everything they do is about valuing and supporting people with a learning disability, and their families and carers. They team up with a network of over 400 local groups to reach people across England, Northern Ireland and Wales. The services they provide range from round-the-clock care to helping someone join in with local leisure activities, providing advice and information on things like employment and education, helping someone to live independently for the first time, and even things like reporting a crime to the police. In a nutshell, they try to help in any area of a person’s life where they need support. How did Spec Recruitment help? Leah and Anne-Marie met with Sarah form Mencap at one of their supported living houses in Bristol (Clifton). 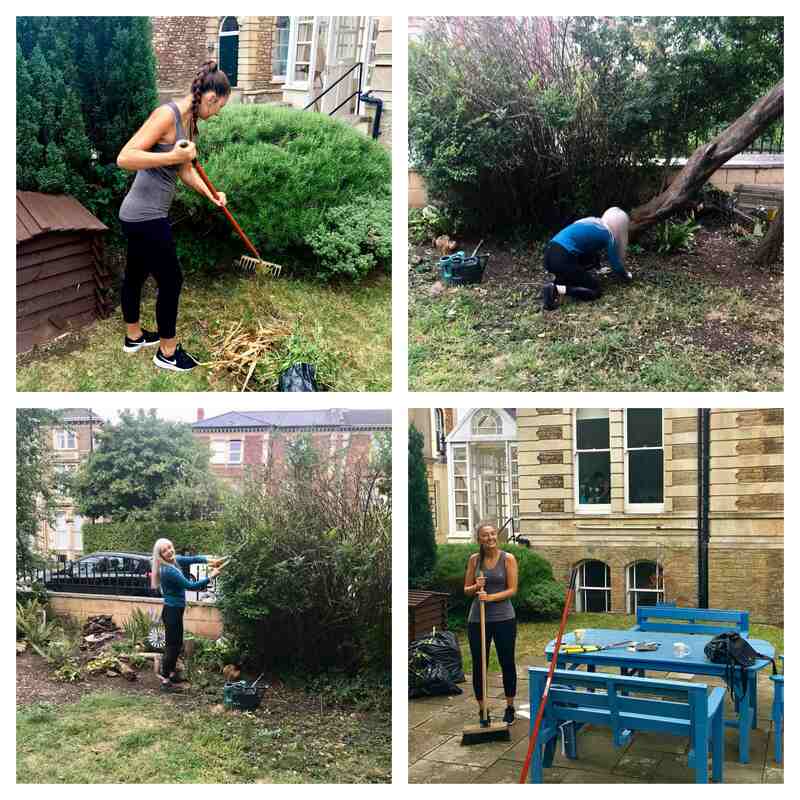 The day was spent in the front garden weeding, cutting, pruning and tidying, making it an enjoyable and useable environment for the residents. 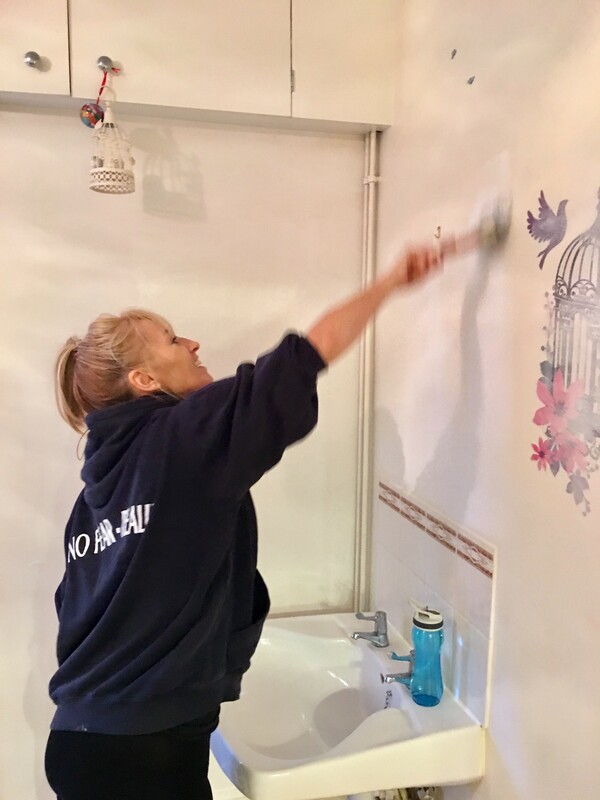 They currently have 6 adults living independently in the property and a team of wonderful volunteers and members of staff support them where needed. 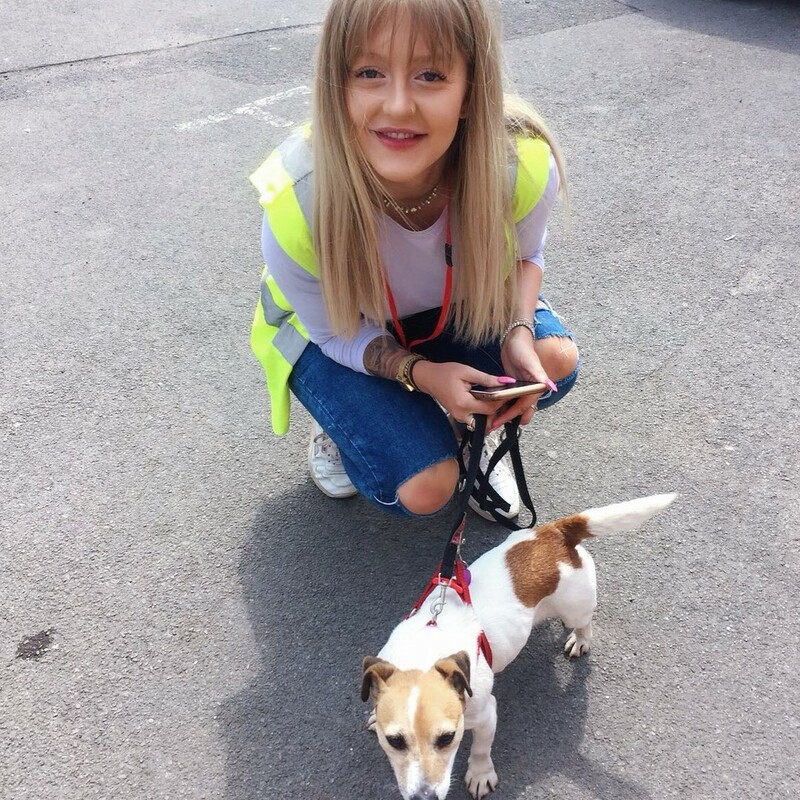 The girls at Spec Recruitment met with several residents who love nothing more than a good old chat with visitors and volunteers. Thanks for having us Mencap! There are many ways you can get involved, from volunteering to donating, to discover more, click here! Temp of the Month - July! Beatrice is certainly a 5 star candidate. 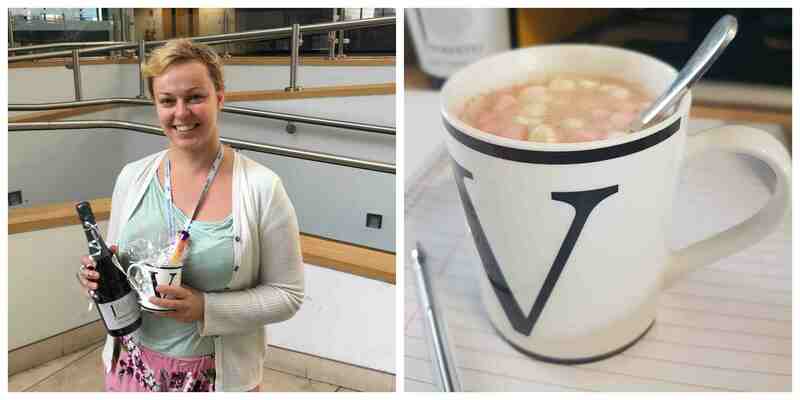 Her amazing hard-work means she is a worthy winner of July's temp of the month award. Star you are! It’s already July and our Rewarding Recruitment challenge continues....our chosen charity for this month is the lovely Bristol ARC! Bristol ARC has been caring for the city’s pets and wildlife since 1887, helping, healing and homing over 14,000 venerable animals each year. 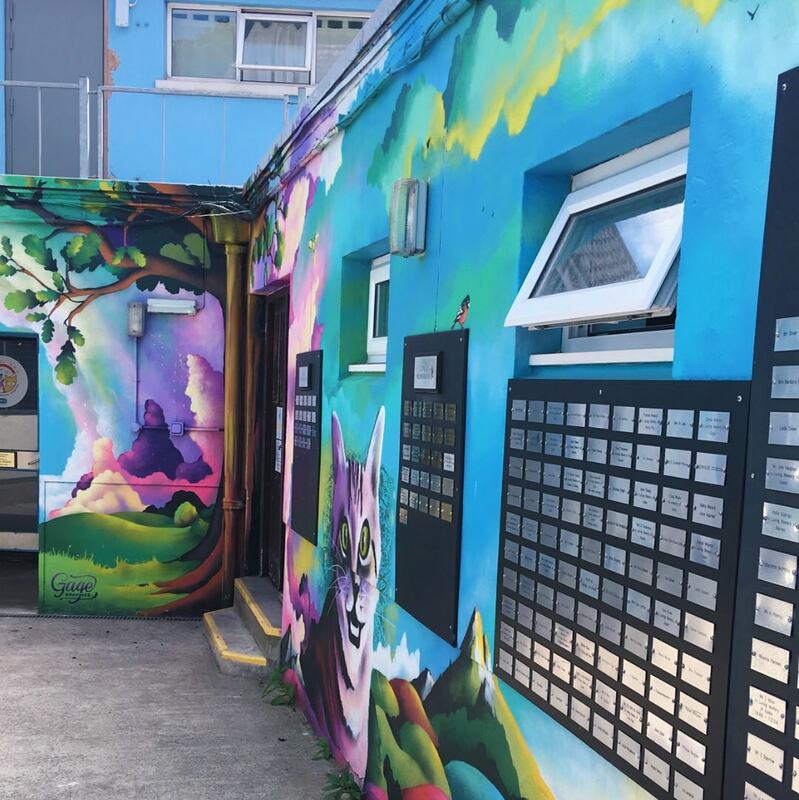 They are the longest-standing and largest local animal charity and it costs approximately 2 million pounds a year to keep Bristol ARC running smoothly and they rely entirely on local support within the community to fund their amazing work. 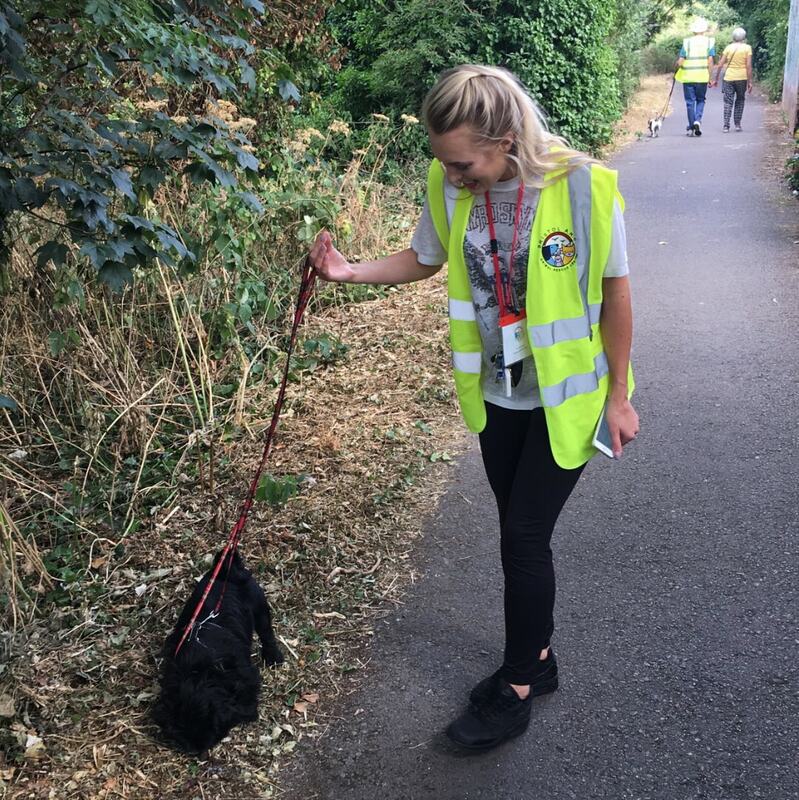 As huge animal lovers ourselves Natasha and Anne-Marie met with the lovely Cordelia and were assigned two gorgeous dogs to walk, Burt and Trixie. They then helped in the office by compiling information packs for customers. It’s safe to say they fell in love with quite a few furry faces! For more information on how you can donate or volunteer please visit their website or call their Fundraising Team on 0117 9803901. Making the most of short and precious lives across the south west. Fast forward to 2018 and for more than 25 years Children's Hospice South West has been caring for children with life-threatening conditions by providing children's hospice and professional family support services. Children’s Hospice South West provides hospice care for children ages 0-21 and families who live in the South West and delivers this service from three children’s hospices across the region (Devon, Bristol and Cornwall). They provide specialist palliative care, respite for the whole family, a sibling service for brothers and sisters, emergency support, end of life care and a bereavement service for as long as is needed. It costs 10 million pounds to run the three Hospices for just 1 year, and there are many ways in which you can help fundraise or volunteer to support this fantastic charity, please click here to discover more! Sending a huge thank you to Amanda and the wonderful volunteers and members of staff at Charlton Farm in Bristol who welcomed Leah and Anne-Marie into their team earlier this month. 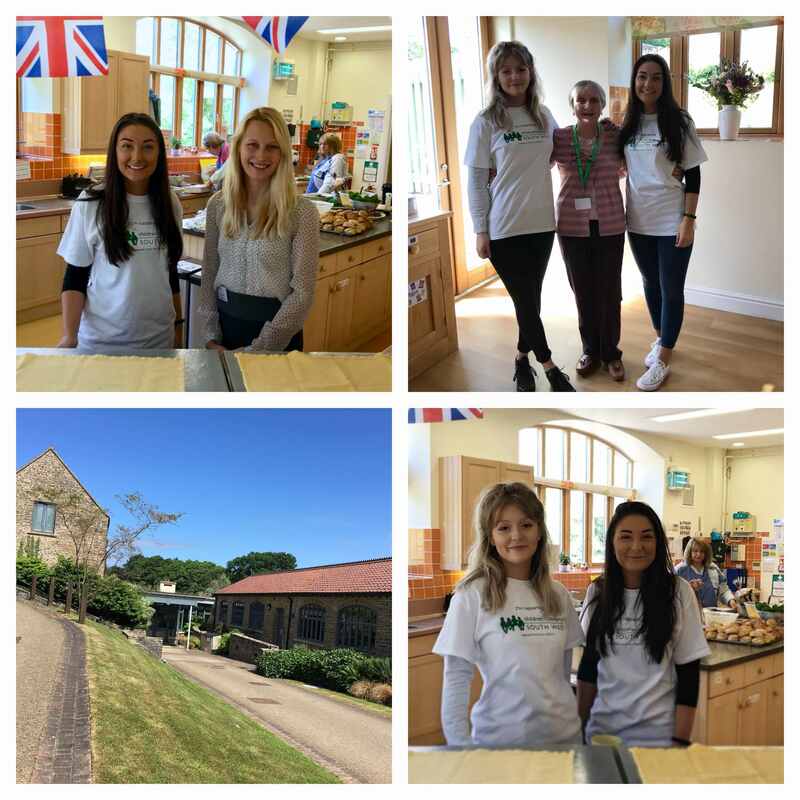 The girls spent their time volunteering by serving teas and coffees at special corporate event, allowing them to discover more about the hospice and the special service that they provide. Holly Hedge Animal Sanctuary in Barrow Gurney opened its gates to unwanted, abandoned and often mistreated animals in March 1992 and is still going strong today. Holly Hedge rescue and rehome around 800 dogs and cats each year finding loving and responsible new homes for each and every one of them. They rely on the generosity of supporters to keep their doors open as it costs approximately £616,000 every year to run – that’s over £1,687 every single day! Leah and Anne-Marie spent the day volunteering under the guidance of Lucinda, the Assistant Kennel and Cattery Manager. They started by cleaning out the cattery which held around 30 cats and kittens, making it sparkle and shine! Following this they then ensured that every fury friend had a good cuddle and interaction time, playing with them in the cat garden and dog adventure areas outside. It’s safe to say they fell in love with many fury friends! Visit their website today: https://www.hollyhedge.org.uk/ or contact them on 01275 474 719 to discover more, they are a fantastic charity with amazing staff who truly love what they do! Putting the SPEC into Spectacular! So….what makes Spec so special? Our perfectly formed team of 4 enables us to get to know every single candidate and client on a much more personal basis compared to the many larger agencies throughout Bristol. For candidates, we discover not only what you’re good at, but also what you enjoy. For clients, we try and find the perfect match between what you need and what you want. Unlike many other agencies we interview every single candidate. Not only that, but often by more than one consultant. We can match not only the right skill set on a CV, but the right candidate personality for company culture. Following candidate registration, we ensure weekly contact is maintained between ourselves and every single candidate to ensure a regular and personal application process is completed. It’s no secret that recruitment consultants typically work towards bonuses…. But, unlike many other agencies, the team at Spec Recruitment work towards a group bonus as opposed to individual ones. Therefore, we work as a tight-knit team and maintain a positive, friendly and energetic working atmosphere at all times, supporting each other in everything that we do. We tell it like it is and if on the rare occasion we can’t help you we will let you know. We don’t promise the impossible! Our size may be small, but our experience certainly isn’t! Combined, we offer over 34 years’ experience within the recruitment industry. 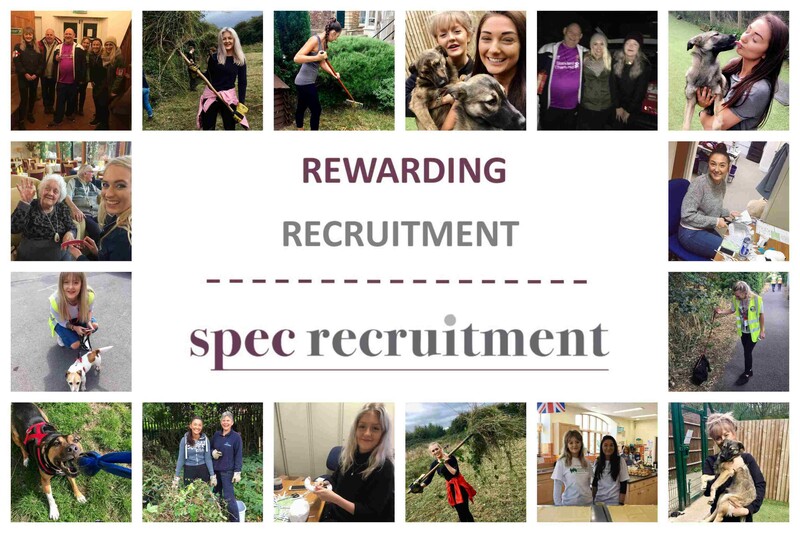 For 15 years Spec Recruitment has developed an established reputation and continued to put the best interests of our clients and candidates first by successfully building and maintaining long-lasting relationships across the South West. Lastly, we are a passionate, motivated and dedicated team who genuinely look forward to going to work every day, (we also appreciate how lucky we are to feel this way!). Therefore, ultimately it is our aim to ensure as many of our candidates as possible end up in similar situations to us and absolutely love the job that we find them! 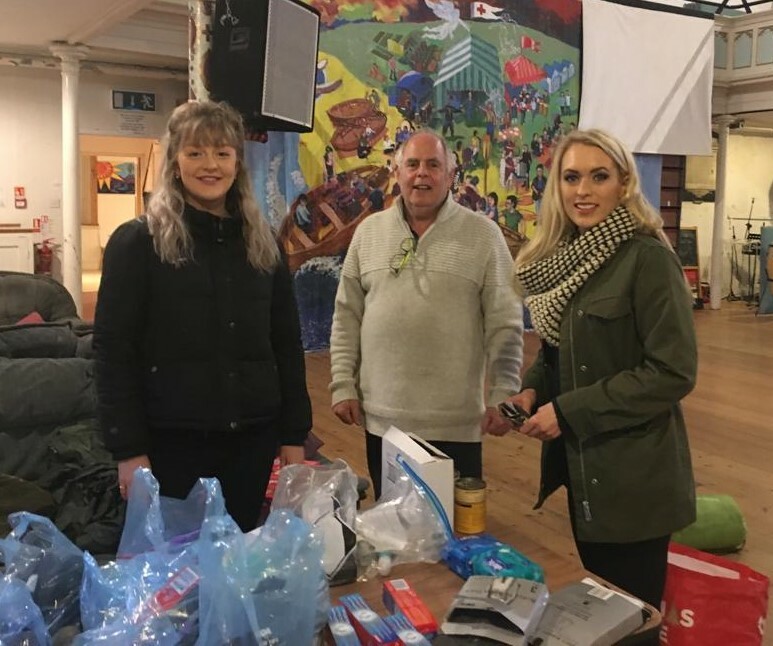 No matter the weather the Soup Run operates every single night of the year without fail, providing people in need with warm food and drink along with toiletries and cosy clothing. Clients turn up at the Soup Run for many reasons: hunger, loneliness, companionship and advice. 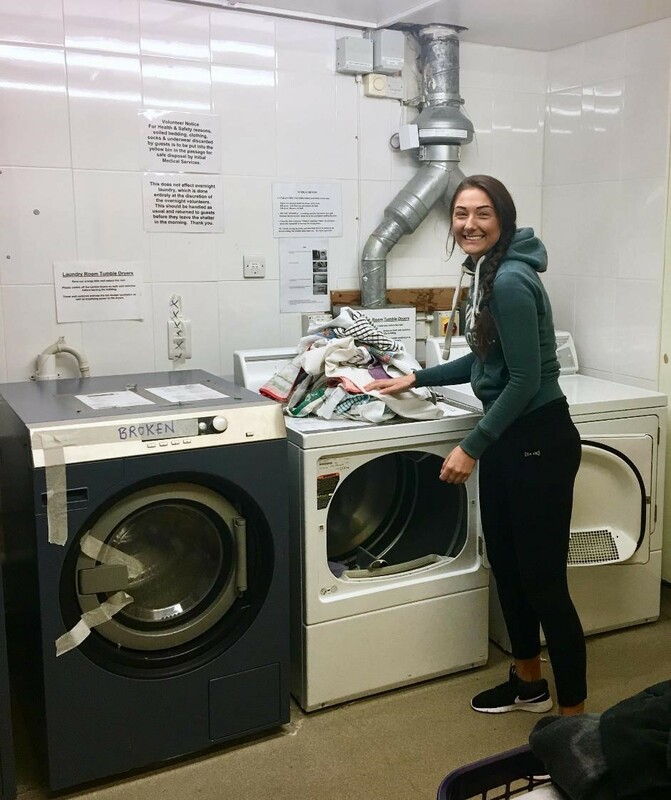 The charity runs free of charge and would be non-existent without the dedication and kindness of their many volunteers who take it in turn to operate throughout the months. 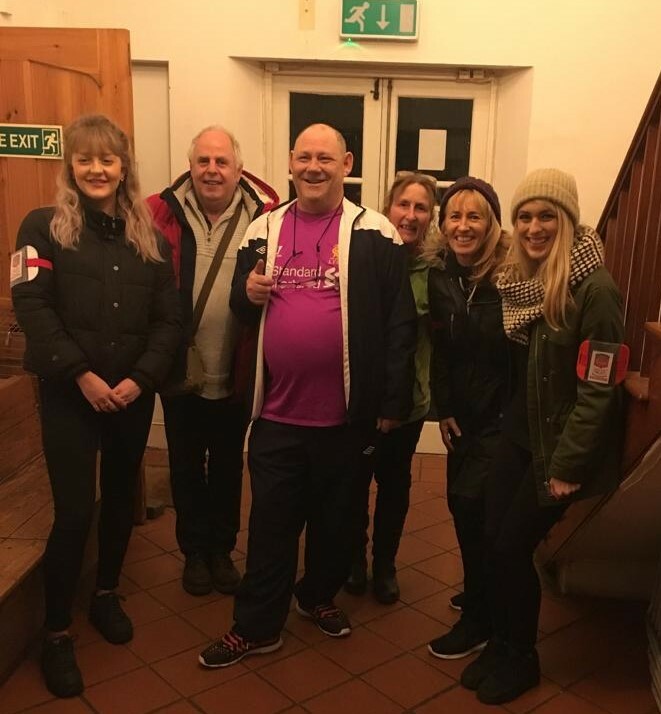 Jackie, Natasha and Anne-Marie joined Richard and his wonderful group of volunteers for a night shift earlier this month at Hope Chapel in Hotwells. The first couple of hours consisted of preparing the food bags, home made soup and toiletry bags. Sleeping bags and warm clothing are also provided to those who are most in need. We set out in 3 cars and stopped off at the two locations that are always visited every night, Pip ‘n’ Jay and Redcliffe Bridge. On the first stop approximately 45 homeless and vulnerable people were waiting for our arrival, with the second stop being slightly smaller. Overall it was a highly rewarding, eye opening and exciting experience and one that we will definitely do again! Thank you to Richard and his team for accommodating us and welcoming us into the group. This year The Team at Spec Recruitment are volunteering once a month with local charities in Bristol! In the Night Shelter the facilities for guests comprise a large dormitory with eighteen emergency beds, a dining area, bathrooms with toilet and shower facilities. There is also a kitchen, stores, laundry and offices. There are separate facilities for volunteers that include a lounge, bedroom, toilet and shower facilities. 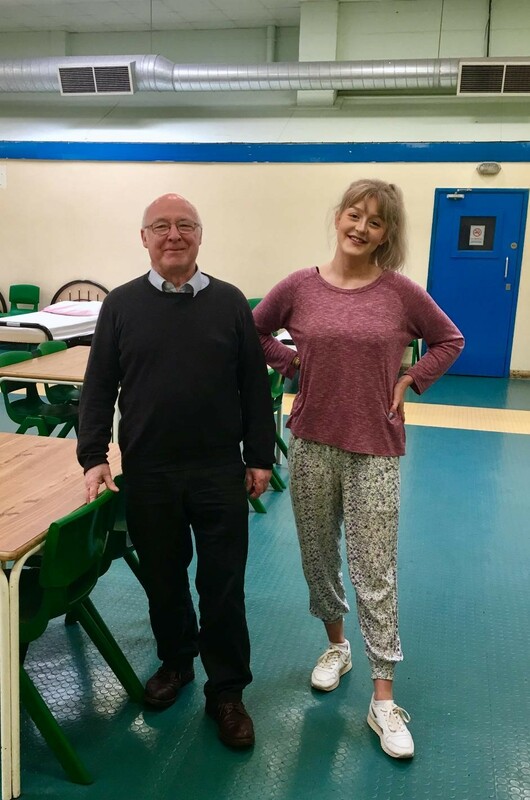 The Night Shelter is open five nights every week throughout the year where a warm welcome and a hot meal awaits homeless people and rough sleepers. The shelter is entirely run by amazing volunteers who help with cooking, cleaning, supervising and laundry. Leah and Anne-Marie joined Geoffrey, a hard-working trustee, down at the shelter to scrub, sweep and clean! 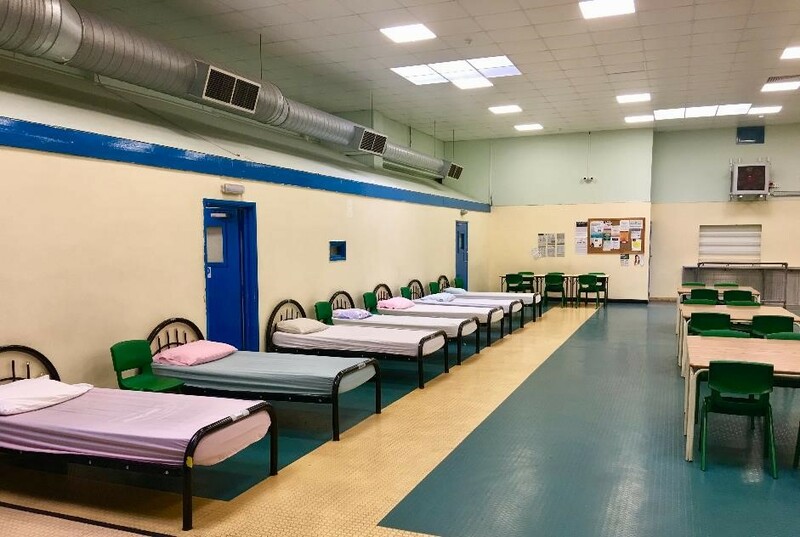 Julian Trust Night Shelter currently costs around £2,000 per week to run, which at £18 per bed space per night highlights how important donations from members of the public are! If you would like to donate either your time or money, then please contact the shelter on 0117 924 4604. CCS has been finding homes for children who need them for more than 110 years and they are one of the largest voluntary adoption agencies in the South West! CCS pride themselves in being able to offer lifelong support to their adopters including one-to-ones, social events and parenting courses. Their social workers also provide their adopters with parenting advice to help their child(ren) develop, learn and grow. 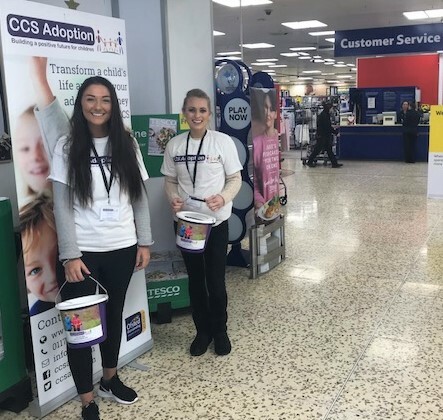 Leah and Natasha both joined Harriet from CCS down at Tesco Eastville Extra to raise awareness of CCS Adoption and to collect donations from members of the public. 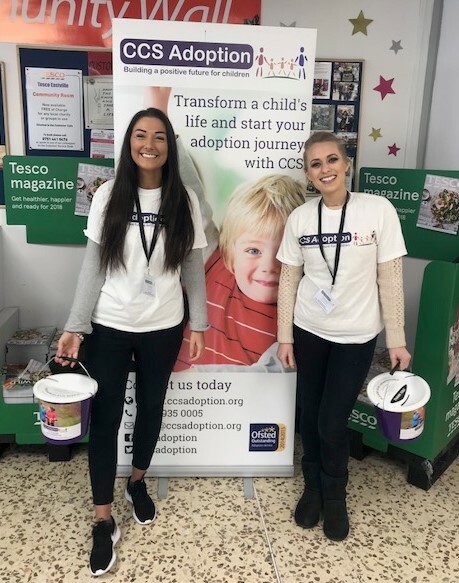 Every penny collected went towards the funding required to provide children with happy and healthy lives - many thanks to Harriet for being so wonderful and for organising our bucket donation day! To discover how you can help CCS Adoption click here or contact them on 0117 935 0005. Milestones Trust is a Bristol-based health and social care charity set up in 1986 to support people with learning disabilities, mental health and eldercare needs, to lead fulfilling and empowered lives in the community. They support around 1000 people in residential and nursing care homes, supported living and community-based day services. With such a large estate and constraints imposed on social care budgets, they really value the support they receive from the public who donate their time through volunteering and donations. To kick-start our 2018 campaign we completed PROJECT PAINT! We redecorated a new residents bedroom in one of the supported living accommodations. An elderly lady of 98 is due to be moving into this room within the next couple of weeks, and it certainly required a lick of paint! The end result, hhmmm not quite Lawrence Llewellyn Bowen but hopefully good enough to put a smile on the newbie’s face. 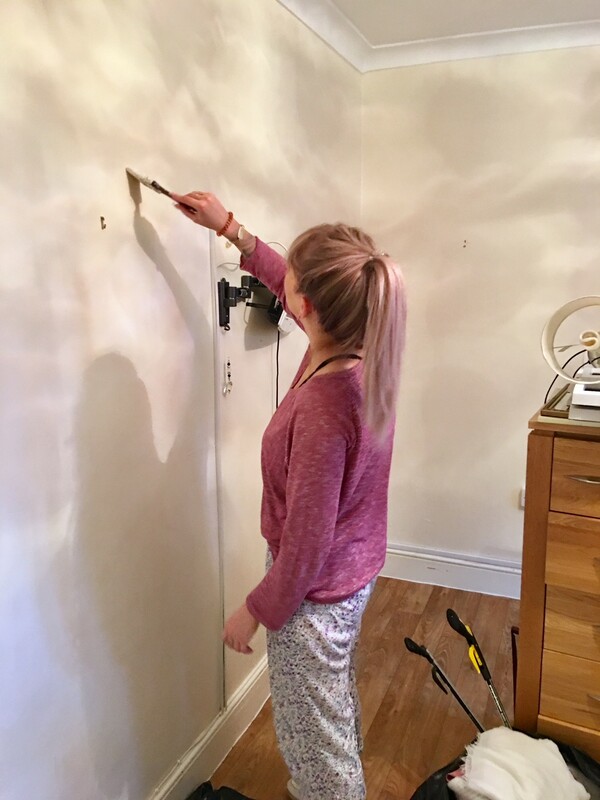 We thoroughly enjoyed our time volunteering and hope that the new resident is happy with her bright and fresh bedroom! Thank you to the staff at the home and to Lianne who helped coordinate the decorating project from start to finish! 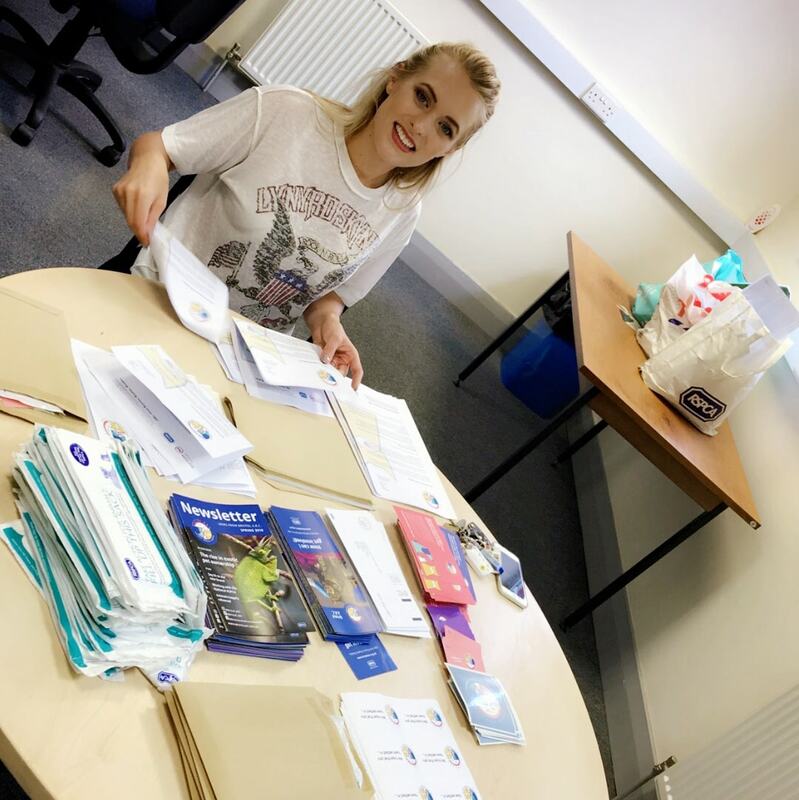 There are many ways that you can help support Milestones Trust, from volunteering to fundraising and donations, for more information click here. Recruiting Trends for 2018 - Our Predictions! The increase in applicant assessment tests have already been rising and are likely to continue to do so well into 2018. These tests often accompany the traditional interview and can range from personality tests to numeric and problem solving. These allow employees to gain a deeper understanding of their potential candidates and how they would fit within the workforce. With the continued coverage of wellbeing and mental health being featured across media such as Radio 1’s recent weekly feature, more people than ever are opening up and seeking help and support from their friends and family. Due to this increase we are expecting to see a rise in the understanding of the importance of wellness at work and amongst employees. Providing health benefits and motivation such as healthy eating and free exercise sessions after work for example will all contribute to a better work attitude and personal wellbeing. This won’t come as much of a shock. Digital advances are booming and soaring through the sky. Technology is becoming easier to use and easier to access as the days go by. Because of this we are expecting to see a rise in digital advances used within the workplace, with the aim of improving work production and employee experience. Who knows what wonderful invention is around the next corner!? Linked to the previous point of employee wellbeing, the 4-and-a-half-day week is expected to spread further throughout workplaces. Here at Spec Recruitment we have already tested the waters and love the added bit of freedom and flexibility that this provides. The aim is that although 4 hours are taken off each week employees are still paid the same salary and are then pushed and motivated to work that slightly bit harder during the rest of their week at work. Win-win! Generation Z are going to be flooding onto the employment market in 2018. We expect there to be a demand in jobs that involve aspects of travel and room for progression. With the number of first class degrees being awarded soaring last year, with some universities giving first-class degrees to more than a third of their students, the competition will be fierce, and we are hoping for a mass of intelligent and might ambitious candidates - fingers crossed! We will welcome 2018 with open arms and are eager to see if any of our predictions are correct! Watch this space! Information sourced from Recruiting Blogs. Spec Recruitment has grown! We are pleased to welcome a new member to our passionate, fun-loving and slightly bonkers team! With a first-class degree in English Language and Linguistics and having fallen in love with Bristol during her time at University, Anne-Marie registered with Spec Recruitment in September 2017 as a temporary candidate and two months later joined us as a Marketing/Branch Administrator! 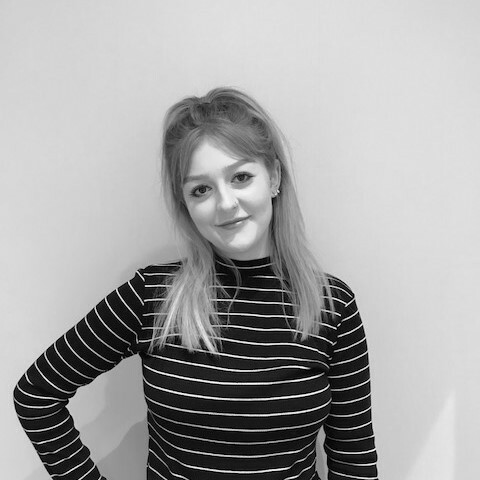 With an easy-going personality and strong work ethic she enjoys looking after our wonderful temporary candidates and dealing with all things marketing related. Here's to the start of her challenging yet rewarding career within Recruitment! You may feel as though once the interview is over that’s your hard work done, but wrong! An interview is the very beginning of the process. We all know how frustrating it can be when the days pass by and you are yet to hear any feedback from the interviewer. - Not every interview process is the same, so it is vital to enquire on how long the expected decision time is due to take. Some recruiters may be interviewing many candidates over many weeks whereas others may only be interviewing one or two candidates across several days. When the interview has concluded it is a perfect time to enquire about this. - Follow up with a brief letter thanking the interviewers for their time and explaining that you are still very interested in the position. This will express intuition and politeness and will always give off a good impression. - If you have still not heard back from the interviewers a few days past the proposed decision date, be sure to give them a call. Ensure you know the full names of the interviews and ask to speak to them directly if possible. -Many of us leave interviews kicking ourselves about information that we may have left out of our answers or by stalling on a question. Try and avoid this at all costs because there is very little that you can do about it. Dwelling about your interview and picking out all of the negatives will only dent your self-confidence. See mistakes or ‘blips’ as a positive and something to learn from in the future. -Just because your first interview may have gone well, this isn’t a reason to stop searching for jobs or attending other interviews that you may be offered. Unless you are offered the job on the spot you cannot be 100% confident! -You want to keep your options open as much as possible, and you never know, you may even end up in the amazing position of being able to choose between more than one job offer! Information sourced from Monster and Business Insider. 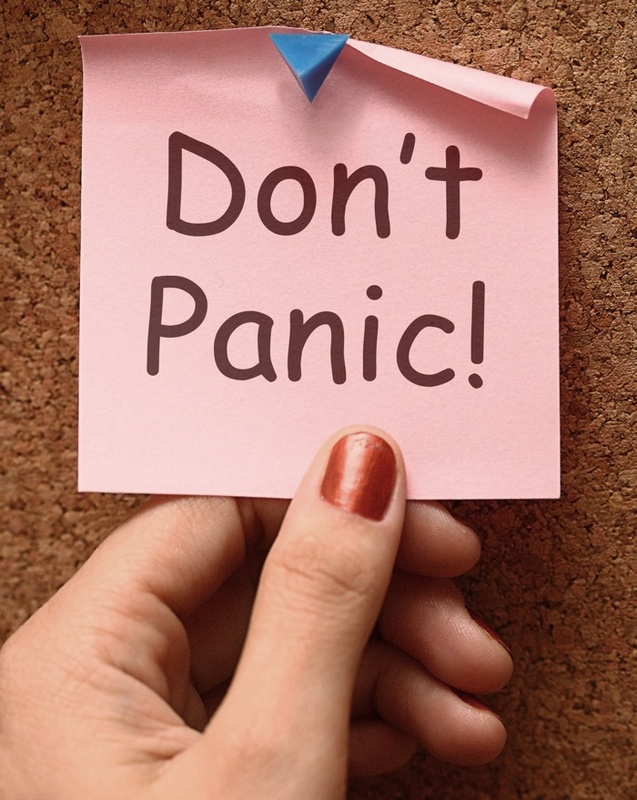 If you're feeling nervous about your upcoming job interview, you are not alone. Most people experience a degree of nervousness before and during a job interview as nerves are a natural response to any important event. But by approaching job interviews in the correct manner and taking note of a few key things, you can make sure you don't freeze on the big day. To ensure you don’t walk into your next interview a sweaty and nervous mess, here are a few strategies to try out prior to the big day! Fast paced speaking is one of the biggest signs of nervousness, so try and keep your speaking at a slow and natural pace. By speaking slowly this will also give yourself time to think before you speak and therefore you will produce stronger responses. Breathe in through your nose very slowly for three seconds. Then breathe out through your nose for a further three. Then repeat this three times. In that time you will have significantly lowered your heart rate and when you speak, you'll find you won't rush! Something that you are in complete control of is how much preparation you put in before attending your interview. Help yourself out and start thinking about the answers to a range of possible interview questions as early as possible because recruiters will often try and catch you out with some rather unexpected and tricky questions. Don’t fall into the trap of not being able to back up a piece of information on your CV, or stuttering when being asked about certain dates for example. You should know every itty gritty bit of information on your CV, no matter how irrelevant it may seem. Many individuals who don’t have truthful facts on their CVs fall victim to failing an interview. Many interviewers will review your CV in-depth to ensure you are worthy of consideration. An experienced interviewer has the knowledge to pick out such candidates. Anything that looks questionable and can be tested can easily get you in trouble. Knowing that you are completely familiar with your CV will calm your nerves and keep you feeling confident before and during the interview. Plan your interview day properly. Research how long it will take you to arrive at the interview location. Ideally you should conduct a trial run the day prior to the interview (at the correct time of the day) to test out how long the route will take regarding possible traffic delays and public transport issues. Leave yourself at least 15 minutes to run over time because turning up late is a big no no! We would recommend entering the interview location 10-5 minutes early as being late will only stress you out and increase your interview nerves. Try waking up extra early and hitting the gym, taking a yoga class, or doing a run around the neighbourhood to get an extra little burst of natural energy and to clear your head. It might take a little more effort than, say, meditating for two minutes, but it’s worth it if you want to be at the top of your game for the interview and to calm you down. Information sourced from The Guardian and The Muse. Nothing says, "I don't care about your company" like an opening of "To whom it may concern." That may have been acceptable before the use of modern technology, but today it takes as little as a Google search or a phone call to figure out the name of the hiring manager…and make sure to spell their name correctly! It may be incredibly tempting to save time and send the same cover letter to every single potential employer, but whatever you do, avoid this temptation! Recruiters can spot a generic cover letter a mile off and it is an instant no no. It screams laziness, and no employer wants to hire a lazy candidate. Instead, make each cover letter individual in order to represent the exact job that is being applied for each time. Repeating the information that is already on your CV is a complete waste of time, not only for you but also for the recruiter. You should extract the most relevant, juicy and impressive aspects from your CV and use this as your basis. A cover letter should be a brief introduction of yourself. Half a page of A4 is the perfect length but anything up to 1 page is acceptable, depending on the job you are applying for and how much relevant information you can provide. Not all cover letters will get read to the end, to ensure yours does the first sentence needs to hook the reader’s attention - pull them in with a unique and flashy starter. Also try and avoid waffling in your first paragraph, make the reason you're writing clear and sell yourself; writing what makes you better than others straight off. Finish with a call to action, request they contact you for a meeting or interview and let them know you will be in touch to discuss. For example, if you claim you have boosted profit for your previous employer then back it up. Everyone can waffle, but by using statistics is shows you have made a real difference and know exactly what you are on about and that your success has been measurable. Numbers also stand out and will instantly attract the readers eye. Finally, once your amazing, wonderful, beautifully written and professional cover letter is complete, proof read it like never before. Just one small grammatical or spelling error could make the difference between your CV being opened or not. It’s also a good idea to ask someone with a fresh pair of eyes to have a quick read as they are more likely to spot any errors. Information sourced from Monster and The Guardian. When you’re spending 7+ hours with your fellow colleagues every day, having a positive and stable friendship with them is crucial, especially when working in a very small tight-knit team. If employees are unable to form these relationships then their motivation will most likely be reduced, along with their self-confidence and happiness. Although the working environment doesn’t have the primary aim to build friendships, it’s is still an important part of every working day. Employees don’t need to be friends with their boss but they need to have a positive relationship. The boss is too much of an integral part of their daily lives at work for an uncomfortable relationship. The boss provides direction and feedback, spends time in one-to-one meetings, and connects the employee to the larger organisation. To have a toxic relationship with the person an employee reports to undermines the employee’s engagement, confidence, and commitment. A bad boss is also one of the main reasons employees quit their job. Although the workplace should challenge an employee and put their skills to the test, being over worked can produce very serious negative side effects. Workplace stress and illness can develop due to being loaded with too much to do in too little time. Working the typical hours of Monday-Friday 9am-5pm can be stressful and tiring in itself, let alone being loaded with additional pressure. Managers should check in with employees on a regular basis to see how they are coping and what they can do to reduce stress. Following on from our previous point, although an employee doesn’t want to be over worked and stressed, they also don’t want to be bored and un-challenged. A fine line between the two needs to be met to result in the best possible outcome. In most cases employees want to expand on their current skill set to improve their desirability in the working world, so if they find themselves bored day after day they will start to explore other opportunities and eventually resign. Improperly or untrained employees often express frustration that their employers overly rely on them being a quick-learner and don’t provide them with enough training, mentorship or plain guidance and direction to be successful on the job. A lack of training often results in unnecessary errors, reprimands and low employee morale. When an employee regularly feels defeated, they are prime for voluntarily exiting the company to find an employer who will take the time to train them to do their job and do it well. Businesses must set-aside time to properly train their employees, partner them up with senior employees who can walk them through the ins and outs of the job, and give the employee continuous guidance and feedback to improve their performance, ensure their success and the company’s success. Put your employees to the test and give them the challenge of working together in groups to escape from a choice of 8 differently fun themed rooms in 60 minutes located in Bristol city centre. Take your employers out for the day to a nearby obstacle course, there are several in Bristol including Mojo Active and ChilliSauce. This gives everyone a nice change of scenery and works great on a summers day. Take inspiration from classic TV favourites such as The Weakest Link and Who Wants to be a Millionaire. Split employees up into teams and try to mix in some questions related to their working environment along with fun general knowledge for the perfect balance. Do your employees tend to eat lunch individually while sat at their desk frantically trying to finish their assignments? Allocate one day a week where employees all sit down together and enjoy lunch at the same time. This will instigate conversation and interaction between employees who may not otherwise talk to one another very often. Sit everyone in a circle facing each other. Have each person come up with two facts about themselves and one lie. The lie should be realistic instead of extravagant. After someone shares, the others must guess which is the lie. This is a great ice breaker game, especially for new employees. It helps to eliminate snap judgements of colleagues, and gives everyone an equal chance to share some facts about themselves. Team building activities should be something that employees look forward to, we would suggest supplying your colleagues with an activity every 1-2 months to keep spirits high and smiles bright. • Make calls such as booking personal appointments like the hairdressers or following up a call to your energy provider for example. Lets face it – you can often find yourself on hold for a while, so your morning commute is a perfect time for this! The temptation to stay up into the early hours of the morning to make the most of your free time may be tempting, but try and avoid this at all costs. Try and aim for 7-8 hours sleep each night, this will ensure you feel fresh and awake in the morning, therefore making your day much easier! Going to sleep at the same time every night and creating a regular sleeping pattern is beneficial in many ways, so why not give it a go? Arguably the most important fact to remember is that consistence within your weekly lifestyle is extremely important. No doubt you wake up at the same time every day anyway, but try and ensure you always eat breakfast. This will provide you with a morning boost of energy and ensure your concentration at work is kept high. Following on from this, try and also make sure you eat lunch and dinner at the same time each day. Getting your body into a daily routine will improve your health, well-being and production in the workplace. Finding a promising candidate is challenging! Many in-demand skilled professionals are already hired. BUT…Imagine you are in that lucky situation that many would like to be in; you don’t have one great candidate for a role, you have two! It’s a fantastic problem to have … until you realise you literally can’t decide which person to hire. You’re paralysed by the thought of making the wrong choice. There are many elements to think about, recruitment can be expensive and you don’t want to regret your decision in a few months’ time. But the longer you wait to make your decision, the greater the risk of losing one or both candidates to another employer. In the current environment, there simply is no time to be indecisive about hiring. A recent survey by Robert Half shows that 57 percent of job seekers will lose interest in a job if an employer takes too long to extend an offer. • Meeting again in a more relaxed setting – People change depending on the context in which they are in. For this reason, it could be a good idea to meet the potential employees in both a formal interview setting, then followed by a more relaxed setting such as a coffee shop. This way you will be able to get a better understanding for each individual and their personality would hopefully come through a bit more in the latter meeting. • Contacting more references – Reach out to more reference contacts, don’t just contact the first two that you are provided, but dig a little further, speak to various previous employers and lecturers/teachers. Request for in depth information rather than a simple tick box form for example. A verbal reference will enable you to get a better idea on each candidate and their skills, personality and ideal fit within your company. • Take a long-term view – Although you may be under a great deal of pressure to decide on a final candidate, you need to ensure you think of the bigger picture. Which candidate has a wider ‘all-rounder’ skill set, which candidate is eager to learn and which candidate is interested in growing alongside the company for a long-term period? • Consider the current team – It can be easy to get carried away and distracted during the hiring process but be careful not to forget about your current hard-working employees. Take time to think about the sort of person who will not only get the job done well but will also fit in nicely with the team. Conflicts and personality clashes in the workplace need to be kept to a minimum, so ensuring the morale in the office is kept high is vital. • Go with your gut feeling – Although ones ‘gut feeling’ is an obscure definition, sometimes it may be your only choice when deciding between candidates. Choosing the right candidate can be a daunting and tricky task but also an extremely important one since you could be spending more time with this person than you do with friends and family back home. Susie Ankrett, Regional Director for the Institute of Recruitment Professionals points out, “When all the ‘science’ of matching has been used, and there’s still a question mark, it has to be the ‘gut feel’, I believe that the essence of a really good recruiter is having emotional intelligence and the savvy to pick out the gems”. Information sourced from TTP Recruitment, Robert Half and Total Jobs. • Get to Know the Team – Don’t expect to be best friends with everyone on day one. But showing you’re interested in getting to know them, as well as being enthusiastic about your work, will naturally allow your colleagues to be more open and welcoming to you. Try and schedule some time with each of your team mates during your first few weeks to find out more about them: how long they’ve been at the company, what positions they’ve held, what they do and where they’ve worked in the past, are all great potential questions to ask. • Avoid Complaining – Although you’ll have some idea of your role because of the work you put into your application and getting through the interview process, you won’t necessarily know the ins-and-outs of the induction process until you’re officially on the job. Some companies will ease you in gently with some introductory training and interaction with the business. Some companies may set objectives and deadlines immediately. Show willing to get stuck into a wide variety of work and tasks, but also avoid being a doormat – don’t let fellow employees load you with their left-over work that they can’t be bothered to do on a Friday afternoon just because you’re the newbie. • Speak Up and Ask Questions - You might be the new girl but don’t sit in meetings in silence. Ask questions, learn as much as you can about the company and contribute to the conversation. You need to be visible, the more people see and hear you the sooner they will get used to seeing you around. As much as you’re likely to want to hit the ground running, you can’t expect to be an expert in the field in your first few weeks. So, if you don’t know something, or you feel like you need help, always ask – speaking up is not a sign of weakness. In fact, your employers are likely to be more impressed with your honesty. In a more practical sense, you’ll actually be learning something, rather than staying silent and hoping a problem goes away. • Introduce Yourself – Take the initiative to meet people. Say hello in the elevator, kitchen, or bathroom. It will pay off in the end. Don’t assume others will always approach you first (although this would be courteous of them), so make the first move and start up a conversation whenever you have a spare 5 minutes. • Have a Positive Attitude – Expect to feel overwhelmed at points within your first few weeks at work, this is completely normal, but try and stay positive. There may even be times where you doubt if the job is right for you, or if you will ever fully click with your fellow colleagues, but you will, it just takes time. Nothing will fall into pace straight away, so patience and ensuring you maintain a positive attitude is crucial. • Dress Well - Make an effort not only with your work and attitude but also with how you look. Ensure you are wearing clothes that are suitable for the company you are working with. Over your first few days, make a note of your fellow employees typical working outfits and fit your own around this norm. • Learn Co-workers’ Names Quickly – Addressing your fellow colleagues by their name makes a much greater impact than addressing them without. It shows you have made the effort to remember their names amongst everything else that you are having to remember in your first few days. Addressing someone by their name creates interaction on a much more personal level and will build friendships quicker. • Take Notes –Don’t be afraid to get out the good old note-pad and pen. Making notes will not only benefit you later when having to remember something a few days down the line, but will also demonstrate initiative and willingness to learn. • Arrive Early, Leave Late and Avoid Calling in Sick – For your first few weeks at least, try and arrive a few minutes early. This will give you time to settle at your desk, make a cup of coffee and avoid any stress before the day has even started. Also, try to avoid being the first person to leave the office, stay back for a few extra minutes every now and again to finish making some notes or follow up some emails and this will also make a good impression, showing that you’re not in an immediate rush to leave every day. Unfortunately, sometimes, calling in sick is unavoidable, however try your absolute best to avoid this happening within the first month or so. Your boss and fellow colleagues need to know you are reliable. • Take Advantages to Socialise Outside of Working Hours – Try and attend social events organised by your workplace, this will enable you to speak to your colleagues in a more relaxed context and build on friendships. • Network – Once you know the names of your colleagues, remember to connect with them on LinkedIn. This will boost your profile and enable you to discover a little bit more about them all, opening the opportunity for further conversations and opportunities. • Ask for Feedback – Speak to your boss on a regular basis. Although your boss most likely won’t be the person training or supervising you in the first few weeks, ask for feedback on your progress. Such as where you can improve and if you are meeting their expectations. The person training you will provide your boss with all relevant information. Information sourced from LiveCareer and Reed. Securing your ideal job is an achievement in itself, so once you’ve managed to get your foot in the door you want to make sure you don't leave anything to chance. It can be difficult to know what to wear for an interview, especially if you haven’t had many before. So, once you've thought about your strengths, your weaknesses and “a time you've overcome conflict in the workplace”, don't forget to plan your outfit. It's always a good idea to have some interview clothes ready to wear in your wardrobe, so you don't have to scramble at the list minute to find a suitable outfit. If you're wondering what to wear to an interview, the most important thing to keep in mind is that you must look professional and polished. No matter what the position, you should come in looking neat, tidy, and well-dressed. And most importantly…don’t forget to smile! • Stand Out – Recruitment consultants read hundreds of CVs a week, so ensure that yours expresses your unique selling point clearly and outlines your desirable skills, experience and attitude to stand out amongst a very competitive crowd. • Keep it Simple – Only include relevant information on your CV, avoid rambling or repeating yourself and don’t overcomplicate things regarding the layout and choice of font. • Tailor Your CV – If you are applying to multiple roles or industries then avoid sending a generic CV to all employers. Pinpoint the desired skills and experience that the employers are looking for and highlight these in each CV – Employers can spot a generic CV a mile off. • Don’t Lie – Honesty is crucial. Don’t be tempted to lie about your grades or your previous job description. Not only is it fraud but it can cause yourself complications if you get hired for a job which you aren’t in fact qualified or skilled enough for. • Avoid Errors – Check your spelling, pronunciation, grammar and content such as your contact information and names of previous employers. Any errors will stand out a mile and will create an instant bad impression. • Keep it Short and Sweet – A good CV keeps things clear and precise. According to a survey created by TheLadders, recruiters spend no more than 6 seconds reviewing a CV, meaning anything over 2 sides of A4 is a waste of time. 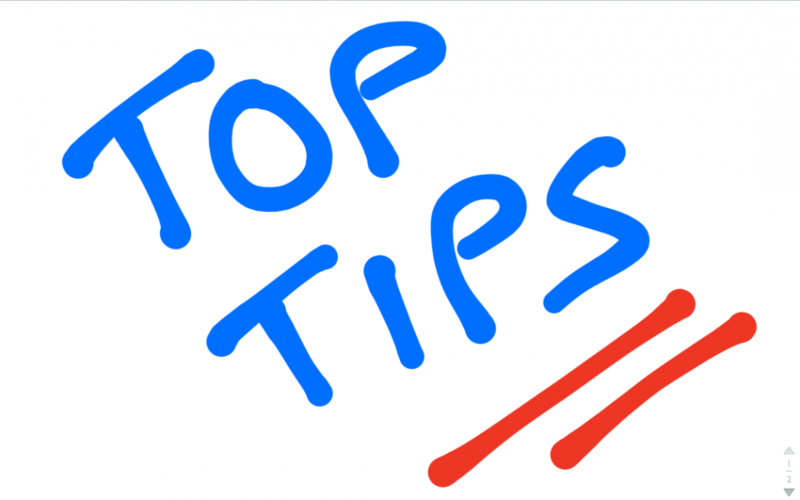 • Keep Your CV up to Date – Make sure your current personal details such as contact number and address are up to date. Add any skills, qualifications and employment to your CV on a regular basis. • Save Time – Job hunting can be trying, stressful and extremely repetitive and trying to fit this in around potentially working full time can be quite tricky. Skip the hassle and let us do the hard work for you. • Find Your Perfect Job – We have a wide range of temporary and permanent roles across various fields, because of this we have a high chance of finding a job that is right for you and suited to your skills and experience. • Discover New and Exciting Fields of Employment – We may have opportunities that you might not have thought about before, enabling you to open a whole new world of opportunities. • Put Your Skills to Good Use – We get to know you personally, to begin with we meet you for an appointment at our office for an informal interview, which means we can put your skills to good use and pin point your strengths. • Preparation – The wonderful team at Spec Recruitment prepare you for any interviews that you may be offered. We work with both yourselves and the client to ensure you make the best possible impression on the potential employer. This can be extremely valuable to those of you who may be nervous or new to the working world. • Save time – There are many levels to the hiring process, including sorting through applications, interviewing, screening and reference checks. 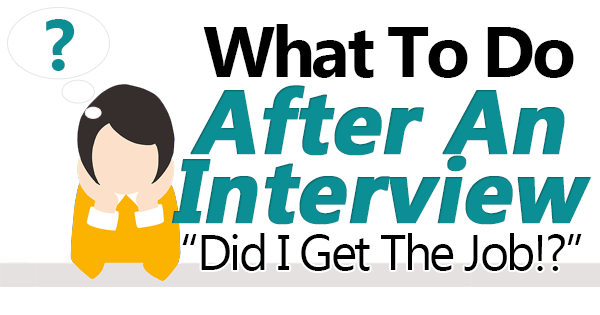 We can take care of these steps for you bar the actual interview. • Find Your Perfect Candidate – We get to know each and every one of our candidates, meaning we can provide a great match between client and potential employee. • Reduce Financial Costs – By using recruitment agencies you can reduce the chances of hiring the wrong individual and therefore save on potential re-hiring costs. • Maintain Positive Morale in The Working Environment – By employing the right candidate the morale in the working environment amongst fellow employees won’t be negatively affected, therefore keeping productivity high and relationships strong. • Future Positions – Once you find a reliable, friendly and honest recruitment agency such as Spec Recruitment, a relationship can be built and Spec Recruitment can be used repeatedly for available positions within your company, therefore speeding up future hiring processes. • Agencies Know How Important Employer Branding Is - We (of course) represent you professionally throughout the entire process, but also ensure that candidates get a feel for your company culture and brand as well – something which is extremely important these days. To sum it up in a nutshell - we are truly passionate about what we do here at Spec, we love our jobs and we would love to help you! No business owner wants to hire the wrong person for a job. Not only because they'll need to find a replacement candidate but also because making a bad hire drains energy, time and can cost a business in many ways. Recruitment agencies enable business owners to skip the hassle, save time, save money and employ the perfect candidate. Any time spent training and retraining the wrong candidate is a waste of time for their fellow colleagues, bosses and in the end the business will suffer. Productivity rates will begin to fall and money being made will diminish. The cost of replacing an employee is estimated to be around one-fifth of their salary, so those costs mount quickly. But the consequences of a wrong hire go beyond turnover costs; there are also costs associated with a disrupted company culture, decreased work production, and potential loss of customers and revenue. Hiring the wrong candidate doesn’t only impact on productivity but also creates negative consequences financially. On top of paying the salary of the current individual who may not be performing to expectation, the business will have to pay for a second recruitment process when replacing this person. Creating job descriptions, advertising these jobs, reading through CVs and providing interviews all cost valuable time and money. Additionally, the individual may not be as productive or experienced as first expected and may therefore require additional training while in the workplace, also costing the business additional money. On top of the financial costs, there is also the potential for internal disruption and unrest amongst other employees in the company. These employees may be forced to pick up extra work and responsibilities because of the inadequacies of their new colleague, meaning that morale will fall. While managers may focus their time and attention on the new employee, fellow colleagues may feel dissatisfied and disengaged. Profiles with a display picture could reach up to 14 more views than someone without! However, a selfie from a night out with the girls may not be the best choice, instead, opt for something professional and understated. Also ensure the photo is as recent as possible, not one copied from Facebook 5 years ago. If you decide to upload a profile banner photo then be selective, something as simple as a photo can say quite a lot about someone, so you want to ensure you give the right impression, but don’t be afraid to express yourself and to show your personality. Try to log into LinkedIn daily. This will ensure you keep up to date with the latest information as well as reaching out to new connections. The key to LinkedIn is to network, network and network some more! As well as logging in as often as possible, ensure your profile is up to date. Our lives are constantly changing and therefore your LinkedIn profile should be constantly updating also. Keep your location, current job title, and up-to-date qualifications refreshed on your profile. This is most often the first and sometimes only part of your profile that a recruiter may read. This is your chance to sell yourself and to convey all your relevant information. Avoid rambling on for too long or repeating yourself – keep it short and snappy. Connect and network with as many people as possible. Don’t just stick to people who you personally know, but reach out to those who you haven’t necessarily met before or worked with before. This will enable your content to be viewed by a larger pool of profiles and may open the door to many future opportunities. Furthermore, personalising your ‘request to connect’ message will make a great impression and avoid the automatic ‘robot message’ sent out by the majority of profiles. This applies to CVs as well, lying will only make things difficult for yourself later down the line. Be honest and open about your current skills, experience and ability. With honesty, determination and the help from the team at Spec Recruitment you will be sure to find your perfect job! Recently recruiters have centred on advising employers as much as potential candidates concerning interview technique. A common interview question often involves asking the candidate ‘Give us an example when you…’ to assess the candidate’s skill set and suitability to the role. Recruiters advice centres on this question and its drawbacks, as it often discriminates against candidates who don’t have as much experience as other candidates. But less experience does not always mean less suitable to the role! Often companies may lose out on a candidate that could have been better suited to the role if they focus too much on past positions. A better question to ask would be ‘What would you do if…?’ and lead the questions towards common everyday situations the candidate would face in the role, and particularly assess their attitude and use of skills to answer the question. By asking these types of questions the employer can give the candidate an opportunity to demonstrate their problem-solving skills and their ability to handle new, role specific situations they may be faced with. Similarly, it’s important for candidates to listen to employer’s interview feedback. Often, when an employer has two candidates who have similar experience and skill set, who both performed well in an interview, the quality of the candidate’s follow-up message to the interview can often affect the decision. When the follow-up is personalised, perhaps references a conversation held during the interview, it often impresses employers much more. It demonstrates the candidates genuine interest and listening skills, and can show a lot about their personality. Candidate attitude can often have influence on the recruitment process, as companies hope to find individuals that can follow their values and work well within the team. So – a few more points to leave you with! Employers – remember to not always base your recruitment process solely on experience, often you could miss a candidate that shows the enthusiasm and transferable skills that would suit the role far better. Candidates – make sure you are engaged and memorable during your interview, a follow-up that highlights these aspects will make you much more appealing to your potential employer. Following Brexit and the recent election, all we seem to hear about is the instability of the current job market – which can always sound a bit daunting! But recent market insights are showing that despite all the talk recruitment is remaining busy sourcing staff for the professional services. Companies are still moving with the changing markets, and are consistently looking for new staff to fit an increasing variety of roles. Many new roles are being created that combine lots of different elements, and so companies are increasingly looking for candidates with a wide skill set. This can be exciting, as companies can be much more open to candidates with transferable skills to enter assistant and executive roles – opening up different markets to prospective job hunters! Experienced candidates remain in high demand, often creating a saturated, smaller pool of candidates to fill roles. Particularly in the Marketing and Communications fields, research has found that companies are increasingly more likely to hire temporary staff to fill their gaps whilst they search for the perfect candidate. This can create more opportunities for other candidates to gain basic experience through temporary roles, looking forward to consideration for permanent employment. But for those starting out all is not lost, research has demonstrated that companies are more frequently hiring junior level candidates that are committed to growing and developing within a company. Information sourced from Recruitment Buzz and Ambition research. Almost 100,000 job applicants have lied about their qualifications in the past three years…..
A staggering figure, and the question has to be ‘why?’ when the likelihood of being found out is highly probable. Attracted by salary, status, progression, benefits, candidates will occasionally apply and succeed in securing a new role when they do not have the relevant qualifications to carry out the position satisfactorily. Worryingly, almost half (48%) of HR professionals in the UK do not rigorously check the validity of an applicant’s qualifications. The study by AXELOS found that almost a third (30%) of organisations admit to bypassing checks if the candidate has previous experience in the role they are applying for, and one in ten will waive checks if the candidate has been recommended by someone senior in the business. However, dressing up qualifications such as degree results or modules can have serious consequences, with 37% of survey respondents saying they would dismiss an employee if they discovered qualification results had been exaggerated. This increased to 54% if a job applicant has lied about holding a qualification they do not have, and is later found out. Most organisations only realise staff have lied on their applications after starting work, with 14% of HR professionals saying they have come across at least five incidences within the last three years of employees not holding the qualifications they had claimed – equating to around 100,000 jobseekers. Improper candidate screening proved costly - nearly 40% of companies spent over £10,000 in the last three years rehiring staff after employing someone who wasn’t properly qualified, with nine per cent of respondents revealing they had spent more than £40,000. The survey also found that under half 47% of HR professionals think you should check a candidate’s qualifications compared to 62% who believe references should be checked. John O’Brien, Head of Membership at AXELOS, comments: “In an increasingly competitive jobs market, there are clearly many people who are willing to exaggerate or lie to win that much sought-after role. So it’s hard to believe so many organisations do not routinely check the qualifications of job applicants. The world is changing, and that means professions are evolving too – gone are the days of faxing and relying on the postal service, we all have to embrace the age of technology or be left behind. We only have to look back to the last century to see how far employment has progressed and how much job roles have changed. Microsoft has released a report explaining how technology will transform the world of work, adding jobs like human body designer and space tour guide to the list of prospective career paths. The research, conducted by Microsoft and The Future Laboratory, found that just a third of university students believe their current chosen career will exist in ten years’ time. There will most likely be an increase in jobs revolving around technology, such as virtual reality design, robotic engineering and visual communications - according to News & Star. Steve Tooze, Special Projects Editor for The Future Laboratory, explained the report to the publication: “Technological change, economic turbulence and societal transformation are disrupting old career certainties, making it increasingly difficult to judge which degrees and qualifications will remain a passport to a well-paid and fulfilling job in the decades ahead. Ryan Asdourian, Windows and Surface BG Lead at Microsoft, also commented on the innovative research: “While these jobs may seem like the realms of science fiction, in reality they are indicative of changes that we are already seeing today. Different people have very different interview techniques, some believe that ‘fun’ questions help build a rapport, from ‘how would you make money from an ice-cream stand in Hyde Park?’ The theory behind it being that you can find out if a future employee is creative and can think on their feet. Others may be uniform in their approach, asking every candidate the same questions in the same order, not necessarily selling the company and therefore not giving you that ‘want to work there feeling’. As recruitment consultants we try to prepare our candidates for interview, but we can never second guess what the interviewer may ask. Below is a list of questions that may or may not be asked. The latest JobsOutlook survey from the Recruitment & Employment Confederation reveals that employer confidence tumbled during the last quarter, but also suggests that businesses are holding back from making cuts to their workforce. Twenty-four per cent of employers indicated that they would take on more permanent staff in the next three months, while 64 per cent said they will maintain their existing headcount. Just 3 per cent of employers expect to shrink their permanent workforce within the next three months. Smaller businesses in particular reported robust hiring intentions, with more than a quarter (26 per cent) SMEs saying they would take on more permanent staff and 12 per cent predicting that their temporary staff base will increase in the short term. The new Barclay’s television advert has a lot to say for job seekers. When you’ve spent hours labouring over your carefully crafted CV, don’t let yourself fall at the first hurdle with an email address you’ve been clinging on to since tamagotchis and the spice girls were the latest thing. The user name ‘Licclemissfairy’ would hardly be the best advertisement for my job capabilities, however if I was still emblazoning the top of my cv with it I would hardly expect a corporate company, or any company in fact to give me a second glance – unless of course I was applying to work at Disneyland. Simplicity really is the best policy when it comes to setting up an email account, and it takes seconds to open a new one. Remember you are marketing yourself and your job acumen, and while it’s good to be young at heart, it’s best to be project maturity when it comes to letting go of those fond childhood days and your first email address. It really can make all the difference! A birthday celebration last night and we found ourselves in a well known establishment in the city. Pizza and potato? Who would have thought it would work? Carb on carb, surely not, but it was delicious, the cubed tatties melting into the base covered in cheese were a definite winner. Sometimes you have to think ‘beyond the norm’, to try and fail is always better than to never try at all. Why stick with what you know, complacency and acceptance when you are feeling unfulfilled is BORING, so this weekend, step out of your comfort zone and enjoy! So, last night my daughter and I pegged it out to buy a sofa, with one hour ONLY. The mission, without the aid of Tom Cruise, was to visit 5 stores. To be fair, every store had great staff, but in finding one sofa that fitted the bill, the sales person we saw was fantastic. He understood the concept of 2 minutes, he took some details whilst I wrote the others and no doubt the sofa will be delivered within the required time scale. How refreshing to have a service that is straight – no need to oversell, no need for unnecessary information, no need to overstate terms a total understanding of time and requirements. You could argue easy sale/happy chappie, but the impression given was that this person was someone who understood people and different shoppers with different agendas would have had the same happy result. A lesson for anyone working within a customer focussed environment – a lesson in life maybe, but a big thank you to the man from SCS! Change has come at Spec Recruitment – and as often happens with change, great ideas come in abundance. So a new website means blogging, simples. Or is it? A good blog means a daily submission and this is where the problem lies. We are all creatures of habit and our muscle memory is great at remembering all the rubbish stuff! How easy is it to fall into the routines of a cheeky coffee at 11am, a naughty must have sweet treat at 3pm, that glass of at 6pm, the early bedtimes that never happen, those diet and exercise tomorrow thoughts that somehow get put into the tomorrow and tomorrow and tomorrow box! We all do it, we set the intention only to postpone it for some time in the future. So when you wake up in the morning feeling unhappy about going to work for the 6 month in a row, maybe now is the time to make the change, make it happen, today is the day!